Buying a sofa is big investment for your home. 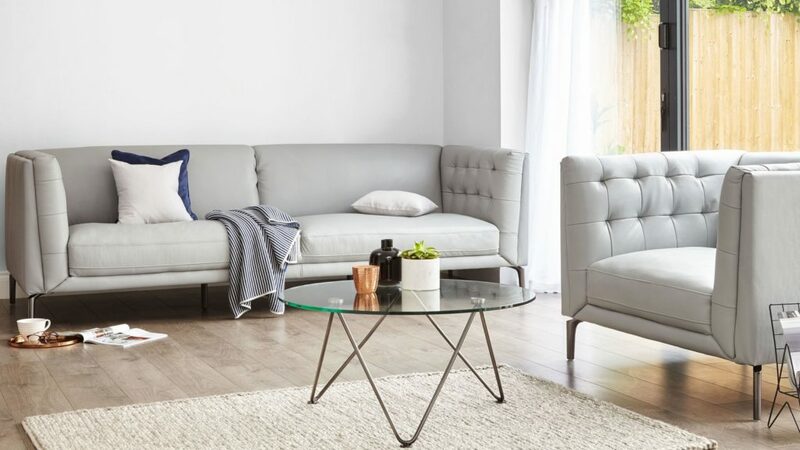 With so much choice available, we wanted to help you get it right first time with our 6 Sofa Buying Mistakes You'll Want To Avoid! First things first: will it fit through your door? Maneuvering a sofa into a space isn’t the easiest of tasks, but this can be made far easier on the day of delivery by checking your sizing and considering how it’ll fit through your door. Top Tip: wait to attach the feet of your sofa before getting it through your door. Those couple extra inches of space will make all the difference! You’ll want to double check the measurements of your sofa in the space. No one wants to squeeze past the back or tuck in their feet every time someone walks past. 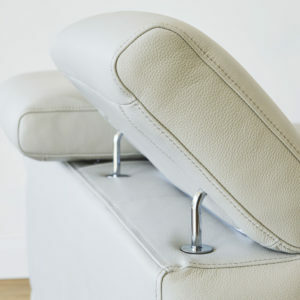 Be careful of placing leathers close to radiators or fabric sofas in direct sunlight to avoid damage to the material. To help with your placement, draw out a bird's eye view floor plan and block in your furniture. You could do this by drawing it on or cutting out to scale size drawing of each item in the space. This will allow you to play with the placement without the heavy lifting involved in actually moving the furniture! How do you use your current sofa? Do you like the position it’s currently in or are you wanting a new arrangement? How often and who uses the sofa? These are all incredibly important questions to ask yourself when choosing a sofa for your space, as they will help you narrow downsizing, style and materials. If you choose a sofa that’s not practical for your needs or fit for purpose, it’ll really disrupt your room. Top Tip: A sofa will generally tell you how many it can seat. However, it’s always a good idea to still check your measurements. This way you’ll get a better feel for how many you personally think you could sit. No one wants a good-looking sofa that’s not comfortable to sit on. Some people like to sit back, others want to stretch out and there are those that just simply want to sit. A deeper seat will allow you to snuggle up, while a high back will offer more support when sat upright. Opt for lower armrest if you like to lounge on your sofa, as this will offer a place to rest your head. A sofa can be both stylish and comfortable, so make sure you consider both factors. Many sofas look the part, but it's a good idea to consider what’s going on on the inside too. Factors such as the frame, seat padding and what support the seat has are all contributing factors to the comfort and longevity of sofa. 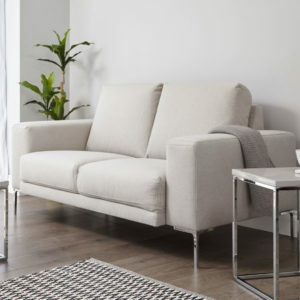 Central leg supports, high-density PU foam, Zigzag springs and elastic webbing are all additional features to look out for the give a sofa that stamp of quality engineering and design ingenuity. That sofa selling for a fraction of the cost of others on the market may seem like a steal, but will it still be sitting pretty in your home in two, three, ten years to come? In many cases, you get what you pay for. 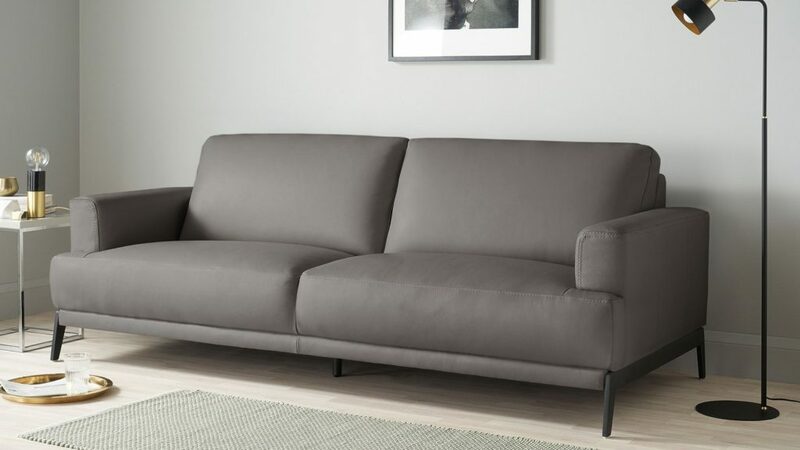 So if you choose a sofa because it’s cheaper but lacking the points mentioned above, chances are you’ll end up unhappy with the lack of comfort and quality. Make sure you do your research and if the price seems to good to be true, you’ll know why! When shopping online, check your measurements, read up on the construction of the sofa and order swatches. 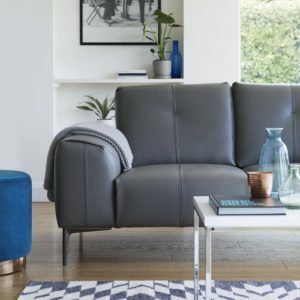 Watch videos and read the product descriptions- the information is all there for you to take in and will give you a feel of the sofa that’s almost as good as sitting in it. Read up on the warranty and returns so that you know if, for whatever reason, the sofa isn’t right, you can exchange or return it hassle-free. To shop the Danetti range of sofas, head over to our website. You can also read our sofa cleaning and buying guides for even more information. 8 Living Room Buying Mistakes You’ll Want To Avoid! Living rooms are a staple part of our homes. Whether we’re sat reading, watching TV or just generally relaxing, we all want a space that we feel comfortable in. Varying in shape, size and style, there are lots of things to consider. And to make creating a perfect living space that bit easier, here are 8 Living Room Buying Mistakes You’ll Want To Avoid! You’ve set your sights on your dream living room interior in that glossy magazine or on Pinterest. It’s clean, contemporary and effortlessly cool. But is it liveable? Many shoots are set up to look great but they just aren’t practical. Remember that you and your family will be using the space, so keep key factors like comfort and durability inline with your styling dreams! No one wants to squeeze past your coffee table or climb over your footstool to sit down. Plan out your spacing so there’s enough room for drawers and doors to be opened, tables to be walked around and legs to be stretched out and put up without getting in the way. We talk a lot about how important lighting is for your home and lighting your living room is no exception. (You can read more here if you’re keen to find out how to do it well). Consider where the natural light will fall in the day and what areas you’d like to illuminate when it’s dark at night. Living rooms are generally more relaxed settings, so you’ll want ambient lighting to help to create a softer, calming glow. It can be tempting when furnishing a new space or renovating an existing home to get everything in one go. But not everyone has the time or money to have that luxury! And that’s not always a bad thing. Start with your essentials like your sofa and seating. Then you can colour match and coordinate accessories to this. Trends and fads come and go, and you can always change your accent pieces over time. But matching to your staple furniture in the space means your living room will always feel up to date. One obvious living room buying mistake but also one that can be easily missed. When ordering furniture online, it’s best to check, check and then check again that the furniture can fit through your door, that it’s the right size and shape for your space, and that you haven’t overfilled the setting. You can do this by drawing a floor plan on squared paper or marking out your furniture using making tape. Either way, you want to know it'll fit. The comfiest sofa isn’t half as accommodating when guests have to sit with their drink in hand and snacks on their lap. That’s why it’s always handy to have a surface near your seating, whether that’s a coffee table or smaller end table next to your sofa. 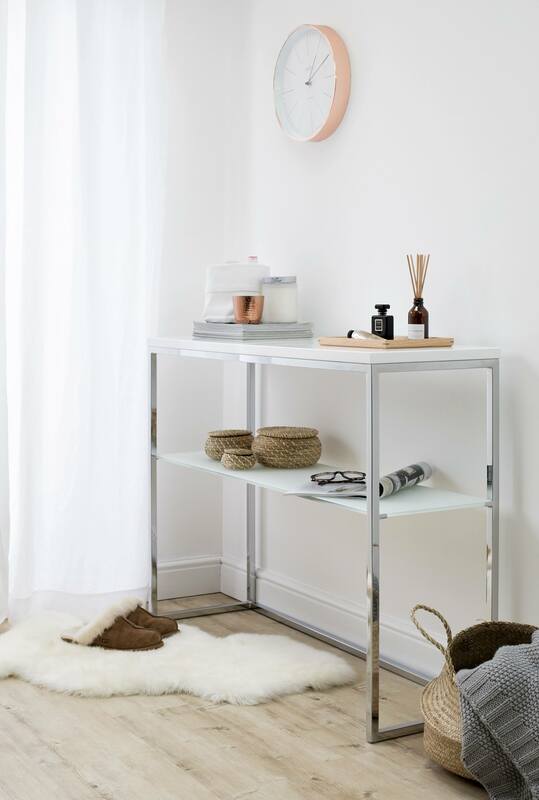 If you’re short on space opt for a side table that can nest or be stacked when not in use. Although coordination can go a long way in creating a well thought out space, overly matchy-matchy interiors can look a bit static and uninspired. Start with your basics and have one central colour or theme, but don’t be afraid to introduce different patterns and textures through your soft furnishings and accent pieces. This will really help bring your room to life and give it some character. Living Room Buying Mistakes -Avoided! Have we inspired you to freshen up your living room? You can browse our collection of living room furniture over on our website. Already have some stylish Danetti pieces? We’d love to see! Post a picture on social with the #mydanetti for your chance to be featured on our Facebook or Instagram pages. For the best ergonomic fit, measure the height of your sofa and the chairs around where you are wanting to place the table. The table itself can be slightly higher or lower than your seating area- there’s no set ‘rule’- but it’s best to opt for what sizing best suits your space. If you want a surface to work at, go for a higher table that can accommodate your laptop or books. If you want to create a more relaxed and casual look, go for something lower as a spot for you to place your cup of coffee and snacks. For a really aesthetically pleasing setting, find a rectangular coffee table that is half the length of your sofa. If space is tight, especially in small corners, it’s best to opt for a round coffee table as there are no sharp edges to have to manoeuvre around in a tight spot. 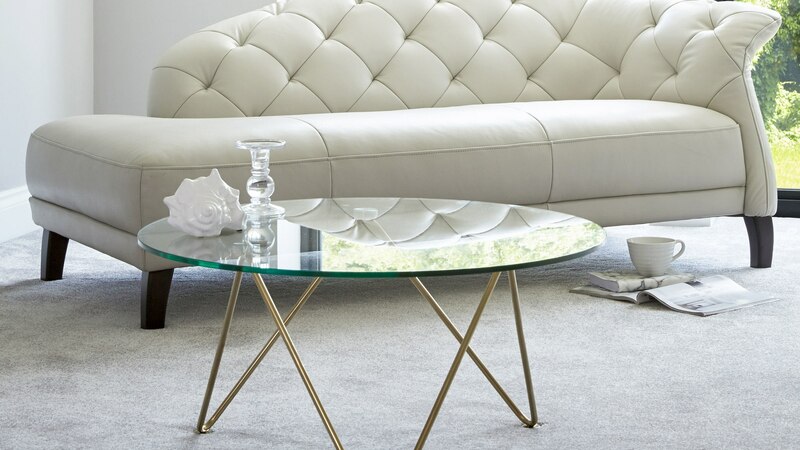 Oval shaped coffee tables work a treat alongside L- shaped seating areas and sofas as they give a substantial enough styling surface but still allow for ease of movement around and between the coffee table and the seat. 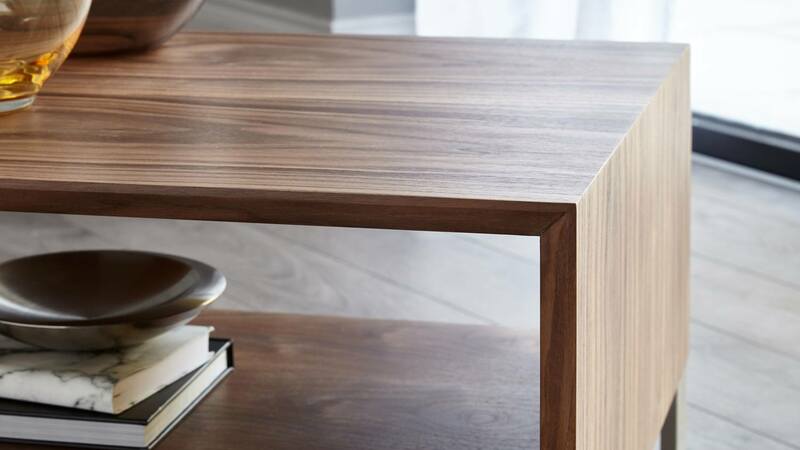 If you are really pushed for space, or if you’ve already got a coffee table but want an extra styling surface, an end table would be perfect. Shorter in length, a coffee end table has all the style and shape of a normal coffee table in a more compact and practical size. If you’ve got a larger seating area to cater for, you could go for a larger coffee table that reaches all of the seating spaces or opt for more smaller coffee tables and place them by each seat. 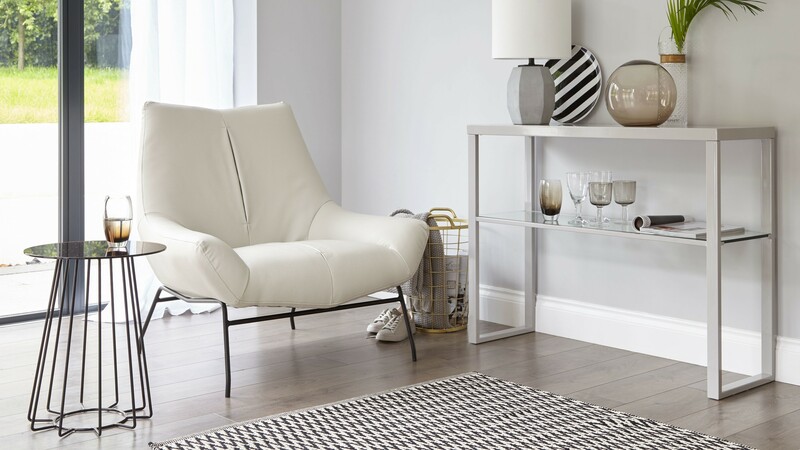 If you’ve got lots going on in your existing interior, opt for a neutral colour like white or grey gloss as this will create a clean and contemporary look. Or you could choose a transparent glass table and let the colours and design of your existing space shine through. If you want to coordinate, pick an accent in your space you want to accentuate further, whether this is a wooden finish or shiny metal elements and tie this in with materials on your coffee table. This will create a seamless look throughout the setting. 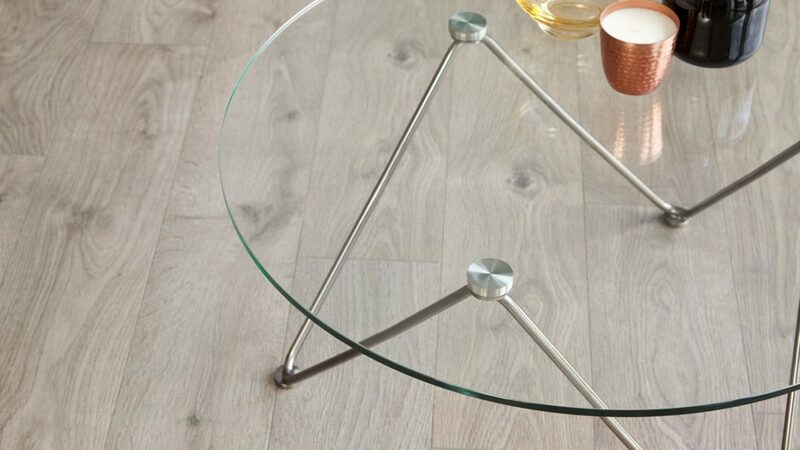 If you want to create a sense of space, opt for a glass coffee table. It will not only gently reflect the light around your room but its transparent quality means it has less of a visual impact. If you want to create a focal point try blending the colours of your coffee table with a rug placed under the table. This will give the illusion of more room while also making your coffee table a true focal point in the space. 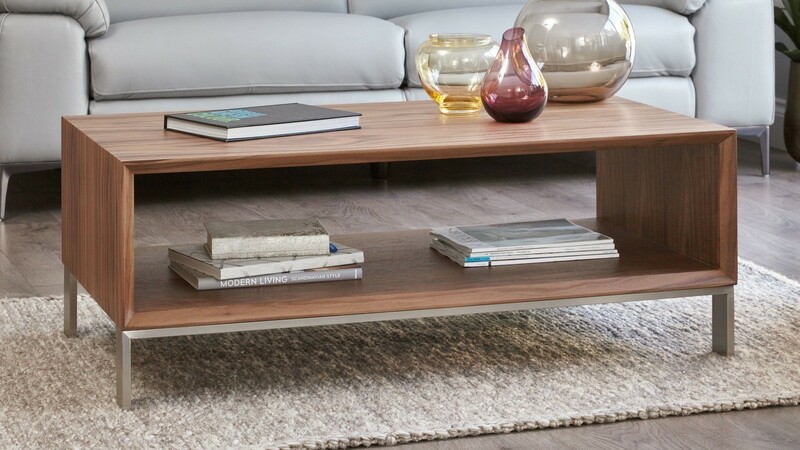 TOP TIP: Coffee tables can be a great way to add discreet storage to your room, so if you feel your space would really benefit from having an extra storage spot, choose a table that has drawers or a lift up lid, or even a table that has a handy shelf underneath. Do you have a more traditional interior that you want to add a modern twist? Or are you looking to coordinate with existing finishes? Coffee tables are a great way to tie your whole room together as they tend to sit centre stage in the space. Coffee tables aren’t just places for your cups of coffee. They’re storage units, display areas, places for tasty snacks and your favourite magazines. So if you’re looking for extra storage, opt for a coffee table with a drawer or shelf. Want to display? Choose something with an open compartment or lots of surface space. If it’s versatility you're after, choose a coffee table set or even build up your side tables into a coffee table arrangement, as then you can move and adjust them to suit your setting. Coffee tables can differ greatly in price depending on size, quality and materials. If you love the look of a coffee table but it’s out of your price range, try and see if the same style is available with a different finish. Coffee tables are a key part of any living interior so you’ll want to make sure you choose one that you love and that will stand the test of time! If you need a coffee table that can be moved around the room easily, opt for something smaller and simpler in design, perhaps something that is more like a side table. It’s a pretty obvious point to make but remember that with mobile coffee tables, the lighter the better. Now you have a better idea of the size and shape you are after, it’s time for the really fun part- the styling! 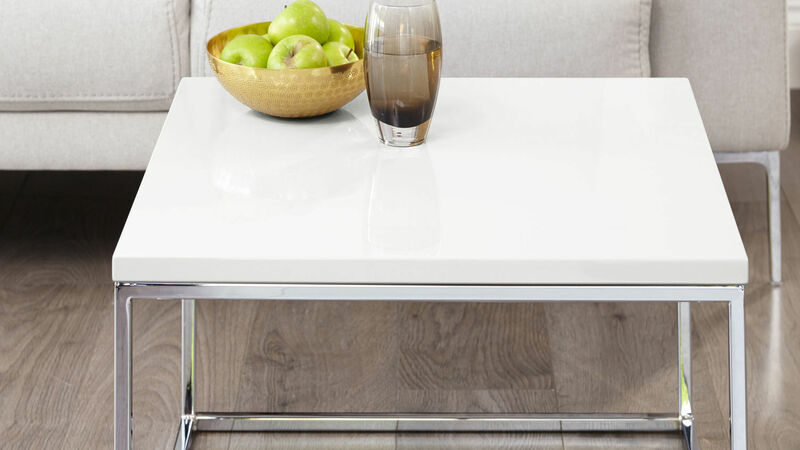 Follow these simple steps to create a sleek coffee table setup. You’ll have friends and family thinking you’re an interior stylist in no time! SOMETHING TALL: Give your table dressing substance by adding height. Take care not to go too tall as you need to still see your TV! Try styling objects such as vases, candlesticks or a tall lantern, adding a candle for instant mood setting. AN UNUSUAL OBJECT: Think of something quirky or interesting that you can style as the focal point. We always find placing an object in a cloche works really well. SOMETHING FRESH: Adding a plant or a small vase of flowers to the space will add life and zest to your setting. Succulents are ideal as they also have a sculptural quality and need no maintenance. A STACK OF BOOKS: A pile of colour coordinated books or magazines will give your coffee table instant style. Use a few books to make a real impact, topping them off with something decorative like a candle, small vase or plant. ODD NUMBERS: Three really is a magic number, especially when it comes to creating displays that are visually pleasing. Check out our blog ‘The Power of 3’ for loads of tips on how to create this style staple. What is it? An oak veneer with a fully opaque, matt finish. The resulting finish is an even matt look but with a subtle wooden texture. How to clean it: Dampen a non-abrasive lint-free cloth and move in the direction of the wood grain. For more stubborn marks, apply a dab of mild dishwashing detergent to your cloth. When cleaning, use a paper towel or a clean dishcloth rather than a sponge, as a sponge will more than likely just spread the liquid across the surface. It's best not to place drinks or plates directly onto the coffee table surface. Instead, we suggest using coasters and mats to give the oak veneer an extra layer of protection. What is it? Multiple layers of paint applied in controlled conditions and dried for 24 hours between each coat. The surface is then hand finished and polished to a reflective shine. How to clean it: Use a soft microfibre damp cloth, without applying too much pressure, to wipe any marks away. A mild detergent like washing up liquid is ideal for cleaning up more stubborn or greasy marks caused by food and drink. After cleaning, don’t leave the table to air dry. Instead, give the gloss surface a quick wipe over with a dry cloth to remove any moisture or watermarks. What is it? Solid stainless steel that has been buffed to give a brushed look. The surface is treated with a slight abrasive in a linear motion to give a matt metallic look. How to clean it: For everyday cleaning and non-stubborn marks, you can simply use some hot (not boiling) water and a cloth or sponge to wipe over your brushed metal furniture. You can always add a little bit of washing up liquid if your cleaning needs an extra boost. Try to keep it dry as possible, whether this is after cleaning the material or mopping the floor around it. This is because if the metal is left to air dry, marks and water spots will occur. Avoid using steel brushes or any highly abrasive scrubbing pads as this can cause scratches or leave behind residue which can over time lead to rust. What is it? Strengthened tempered safety glass which has been certified to British Standards to ensure safety, durability and strength. How to clean it: You can use antibacterial sprays, even ones that contain bleach, as the glass is nonporous. Then use a specific glass spray, such as a window cleaner, to protect the surface from smears using a lint-free cloth. Alternatively, you can also use soapy lukewarm water and dish soap to give the coffee table a good clean. Don’t place abrasive materials on the coffee table as this will scratch its beautifully smooth surface. Most things will be fine but objects with a rough underside could leave a mark if dragged. TOP TIP: Remember to also clean the underside of your glass table if it’s transparent. It won’t need an in-depth clean like the top surface but it’s still important to clean and maintain the underside to keep your table looking its best. 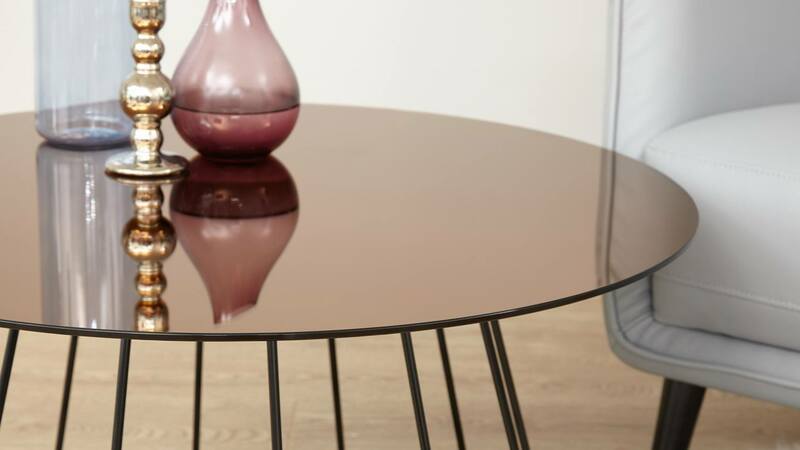 Have we inspired you to get a stylish new coffee table for your home? We have such a wide variety of designs, styles and colours in our coffee table range, so there is sure to be something that catches your eye. 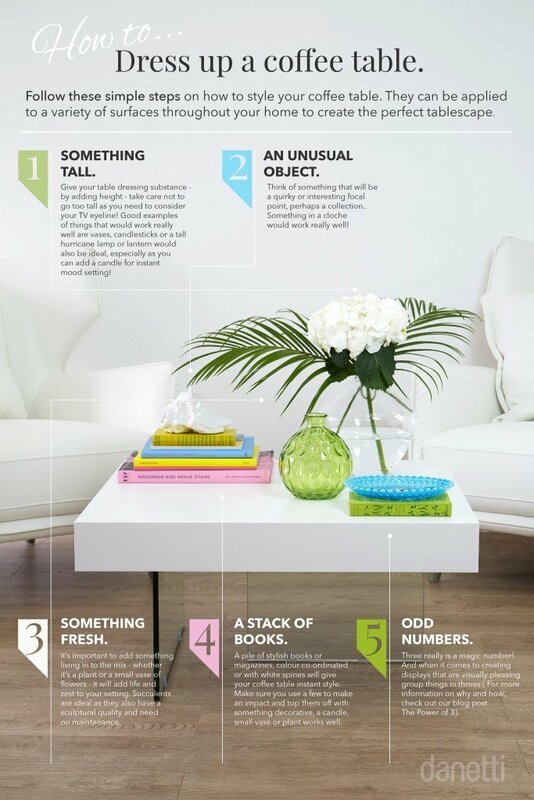 For more coffee table styling tips, check out our Coffee Table Style Guide. If you're revamping the whole of your living room, then you can't miss our Ultimate Living Room Buying Guide. 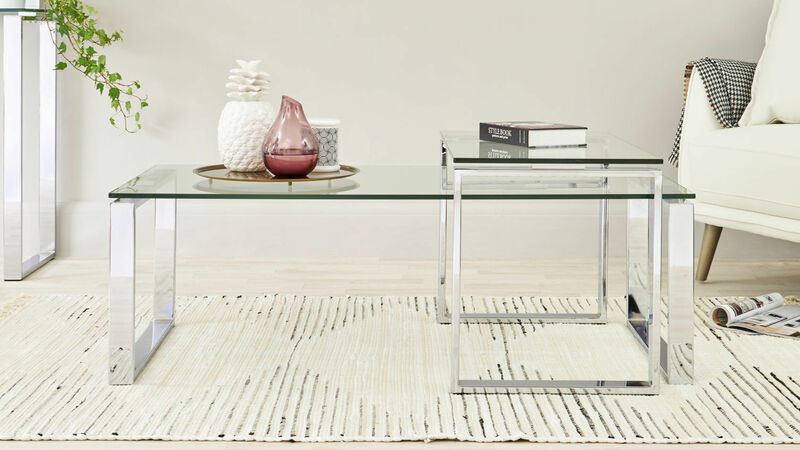 Already have a Danetti coffee table sitting pretty in your space? We’d love to see! Send us a snap or share one on social with the #mydanetti for your chance to be featured on our page. 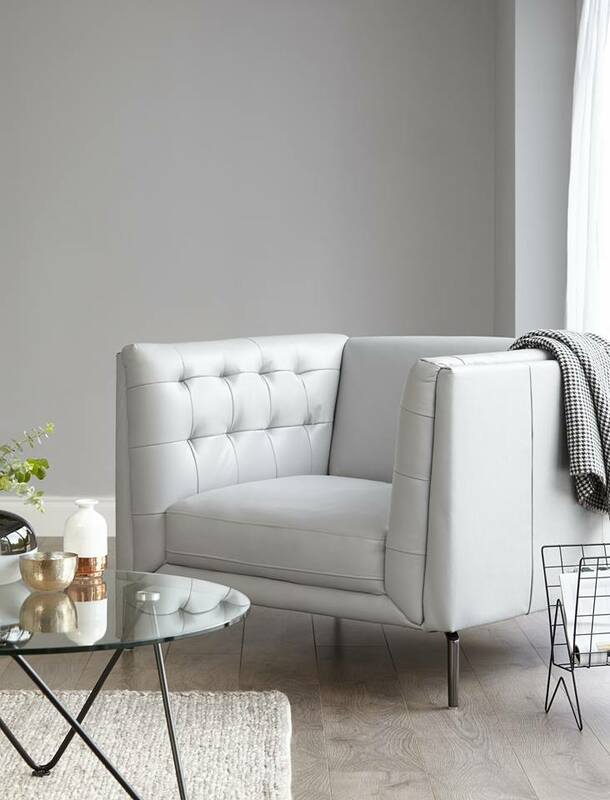 Whether you need an extra seat in your living room, want to make use of a cosy corner or are looking to create a statement look in your space, an occasional chair is sure to be a welcome addition to your home. With so many different style and shapes to choose from, it can be tricky knowing what’s right for your space. In this guide, we’ll talk through various sizing, styling and materials to help you find that perfect piece. If you’ve got the space, go big! 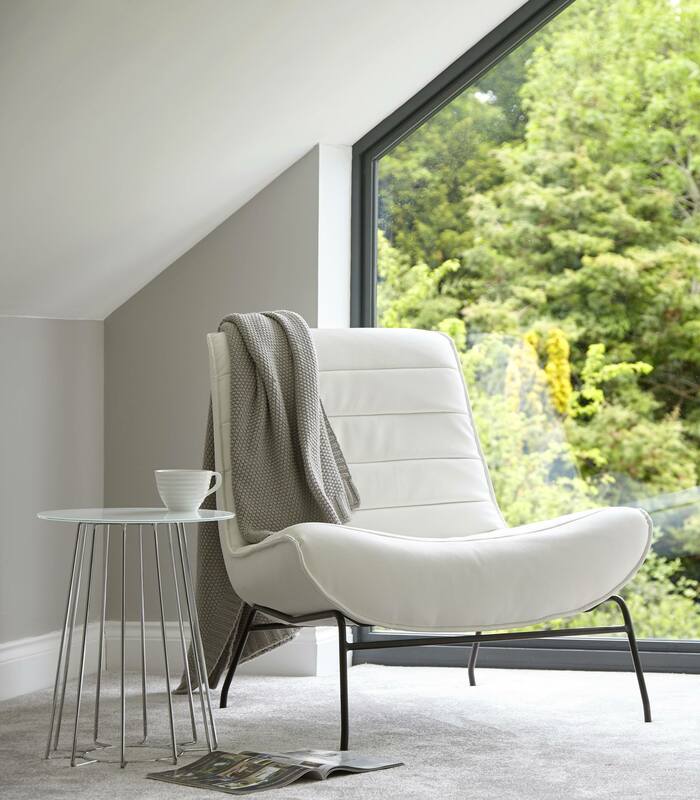 A chair that's 95-100cm in height, 75-100cm in width and 90-100cm in depth will allow enough space for you to create a blissfully inviting and comfortable spot. With a larger chair, you’ll need to consider whether you have the room to accommodate such a statement setting. 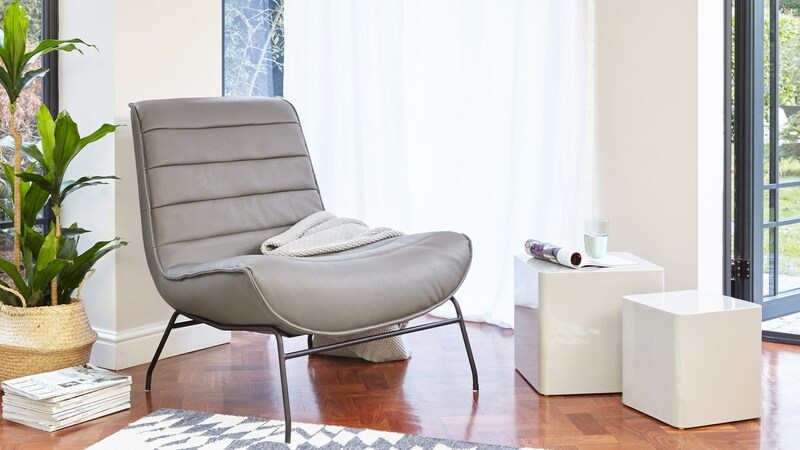 If you’re looking to create the ultimate lounging area, have you considered a chaise lounge? Are you after a soft fabric or a smooth real leather? It’s likely you’ll add a cushion or throw to your occasional chair but it’s always a good idea to consider the look, feel and durability of the material. The melange yarn that we use for our fabric Angelo chair combines two colours of yarn which creates subtle tones and flecks in the material. This makes it far more forgiving than a flat plain coloured fabric. It also gives the chair a wonderful texture and depth of finish. 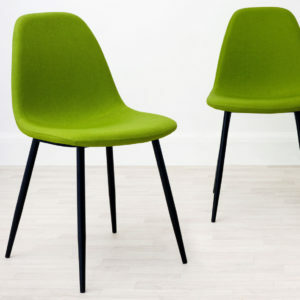 Fabric chairs are inherently cosy so are ideal if you want to sit back and get super cosy. To Clean: Use a slightly dampened cloth to wipe any spillages or marks as soon as they appear. 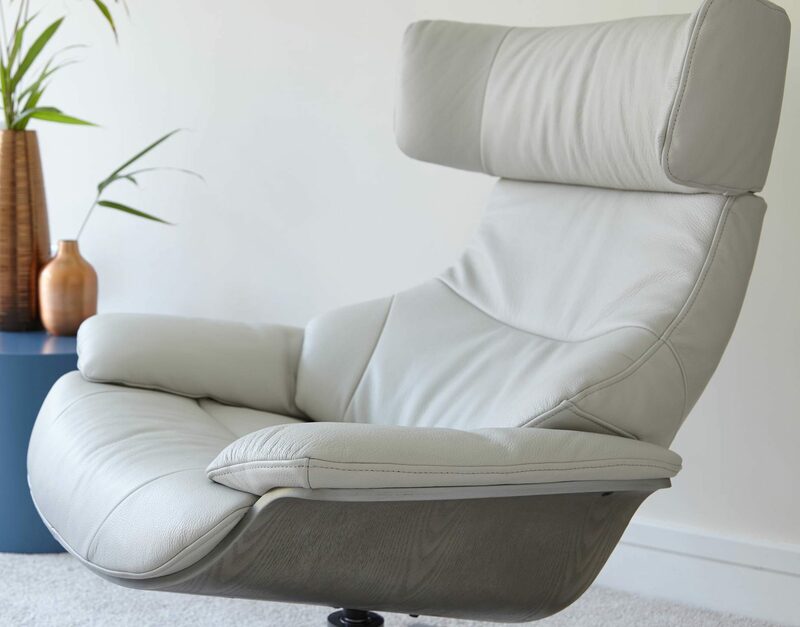 For a deeper clean, only use specialised upholstery cleaning products to treat the chair as you know the product will be safe to use on the fabric. Real leather has such a rich, durable and tactile quality, instantly adding a refined look and luxe feel to a space. With a real leather seat, you could always add a textured cushion or small throw to add contrast and a real designer feel. To Clean: Use an absorbent cloth or sponge to wipe the affected areas. Stay away from harsh cleaning chemicals- lukewarm water should do just the trick! 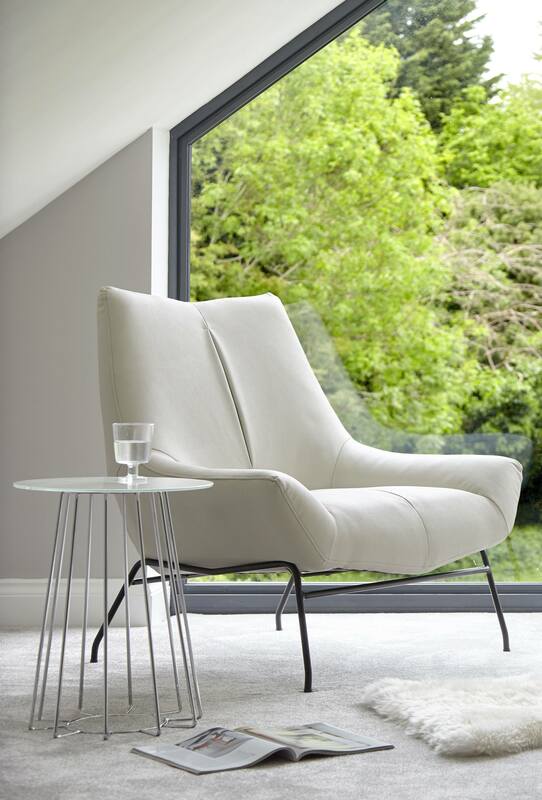 A faux leather occasional chair has such a contemporary edge and smooth overall appearance. 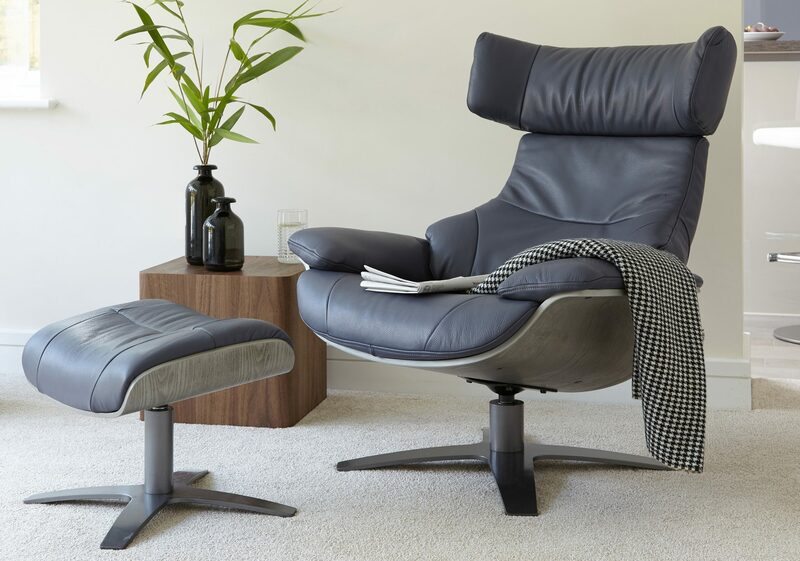 Faux leather chairs are also very easy to clean and are at a lower price point than real leather, so are ideal if you’re working to a tighter budget. An armchair is a great way to introduce a bolder colour to your space without it being too overpowering. To do this, try to coordinate elements of your chair, such as the base or legs, with existing finishes in your space. This will help to tie the whole look together. If you’re after a more neutral look, opt for a lighter colour material and coordinate this will sleek copper, gloss or matt black finishes. With a lighter colour occasional chair, you can strip back the look and let your accent pieces do the talking. 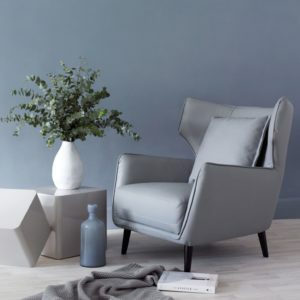 A grey occasional chair is great if your existing scheme is on the neutral or cooler side of the colour wheel. This is because it works alongside a whole variety of colours and finishes. If you’re working with a warmer palette, complement with clay grey to create an inviting and welcoming look. Don’t worry if you already have a fabric sofa in your living area. Faux leather and real leather chairs actually work really well together in creating a contemporary juxtaposition. A mix of materials allows you to subtly break up the scheme while still giving your space a comfy and coordinated look. This is typical styling of the top interior designers. Be brave with your choices as it’s a very on trend look! 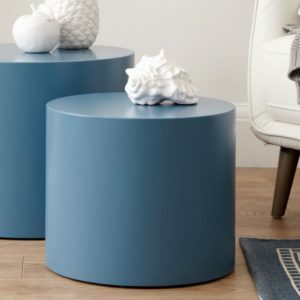 A self-righting pedestal base will keep your space looking neat and uniform with minimal effort. It also takes up less room and keeps the area around the base of the chair open and free from obstruction. 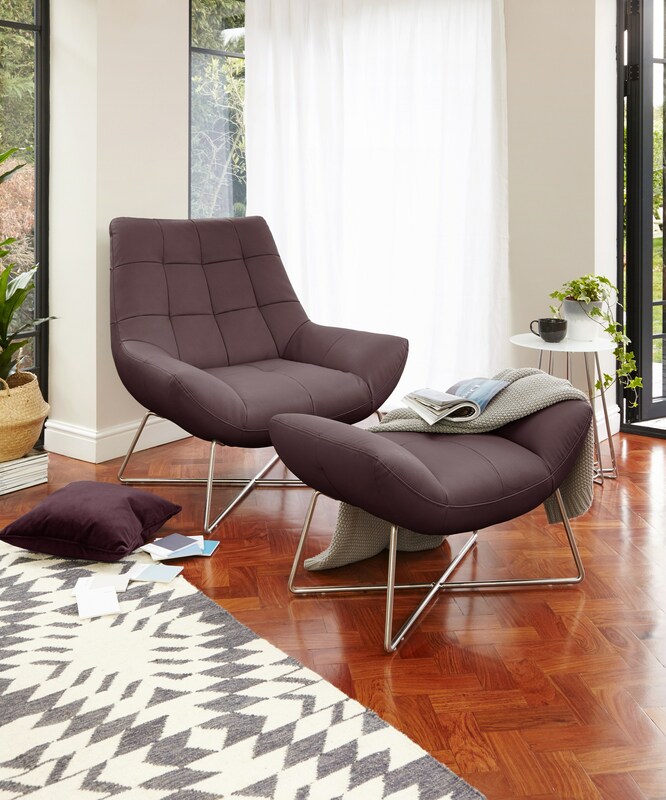 With a footstool, you’ll be able to kick back and relax with your feet up. Keep in mind that the addition of a footstool will require more space. An armrest on an occasional chair will offer even more support when seated, whether you use the armrests to prop yourself up when reading or for when you just want to snuggle back into the seat. 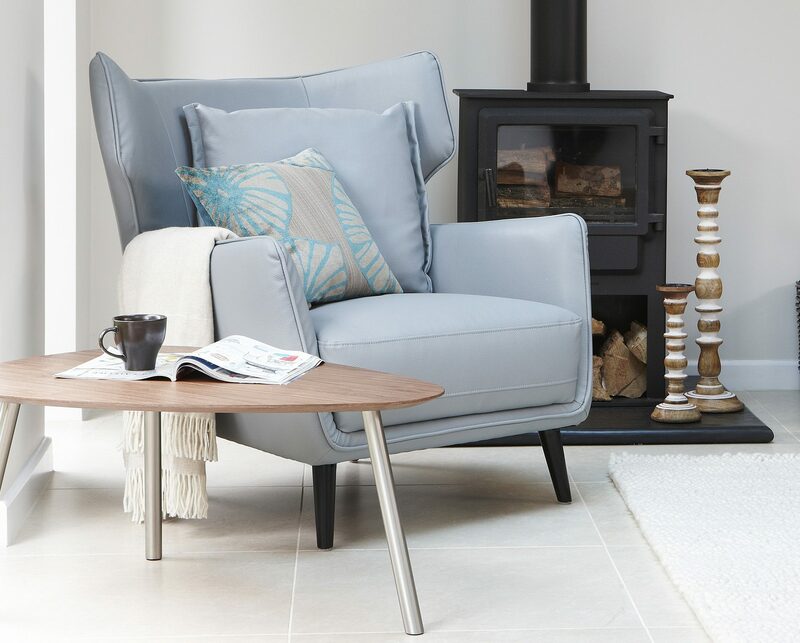 An open armless style offers a nonrestrictive seat which is ideal for sitting with your feet snuggled up. This makes the chair very accommodating and much more versatile when it comes to seating. Fixed seat cushions give the illusion that the cushions are loose but they are actually attached to the seat. This stops them moving around or becoming displaced during and after seating. A high back occasional chair will not only create more impact in your room, but it will also offer plenty of support when seated. You can sit up or snuggle down depending on what you’re using the chair for and how you find most comfortable to sit. To create a real presence in your room, opt for symmetry. Two statement chairs side by side or either side of a coffee table looks stunning because it’s impactful without looking overpowering. If you’ve got the space, you could place two occasional chairs opposite a sofa to create a cosy communal area. 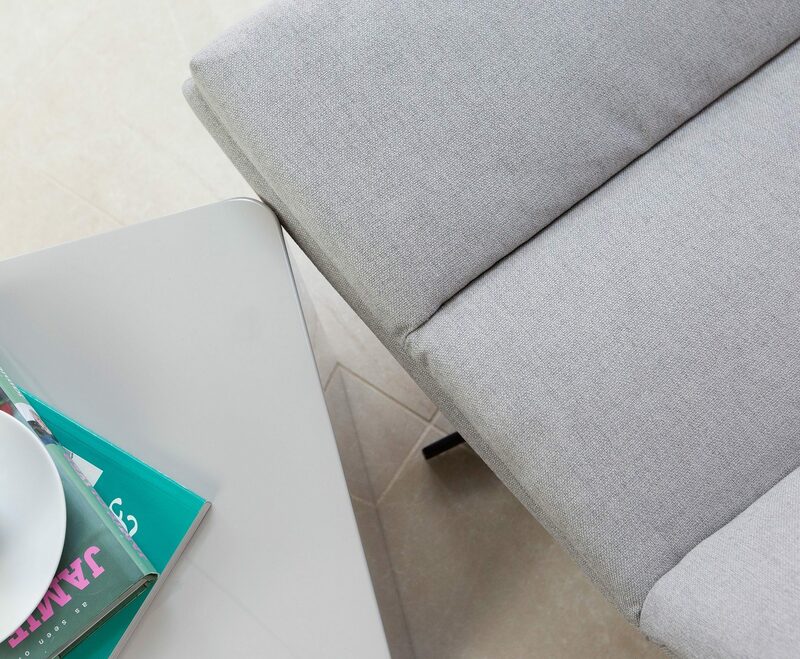 Scatter cushions are a simple but effective way to unify a new occasional chair within your existing scheme. Introduce accent colours and make sure you not only dress your new chair but also get cushions for your sofa too. Mix and match colours and patterns that blend well together. Styling your statement occasional chair with two cushions will instantly create a layered and very cosy effect. If you work from home but don’t have room for a specific home office, an occasional chair and footstool could offer a perfect solution. It also provides a comfortable and flexible seating alternative, where a more solid sofa might look cumbersome or too bulky. Not to be biased, but we have a great selection of occasional chairs to choose from. So we thought this post wouldn’t be complete if we didn’t mention a few of our favourites! 1. 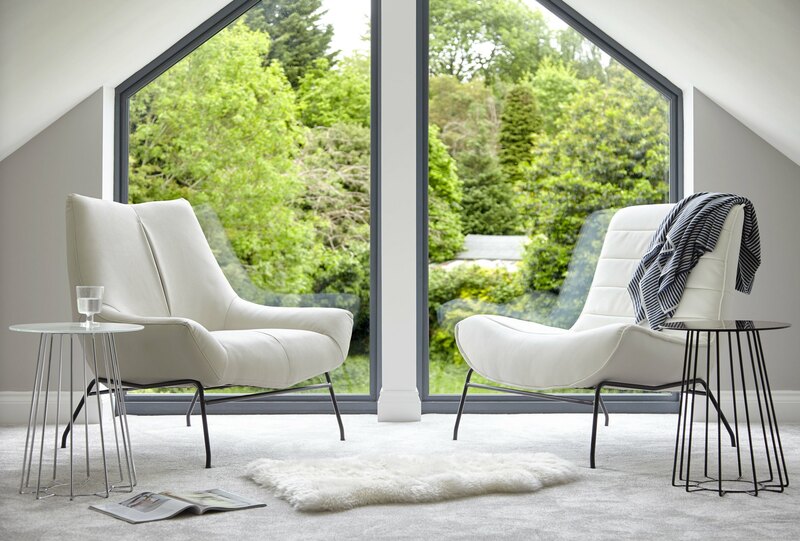 Luxe Modern Leather Chaise Lounge Perfect for: creating a style statement. 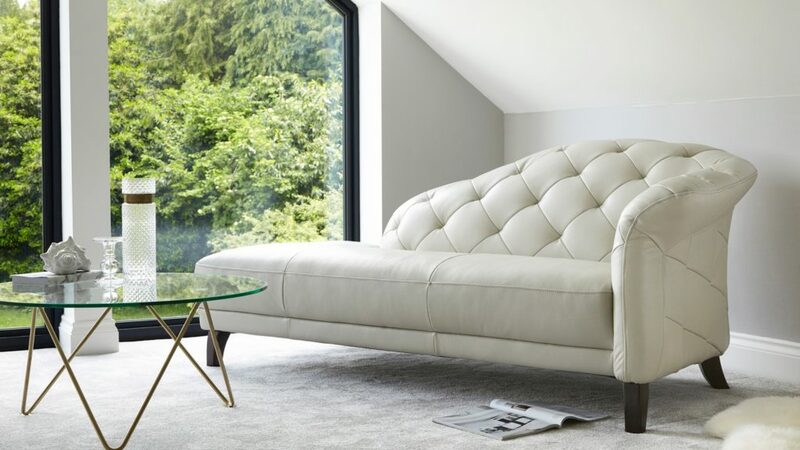 As mentioned previously, the Luxe chaise has such a premium and designer look. It’s bigger than a traditional occasional chair allowing you to fully lie down and get unashamedly comfortable. Its quilted back and curved wooden feet will update the look of your space instantly, adding a piece of every luxury. 2. 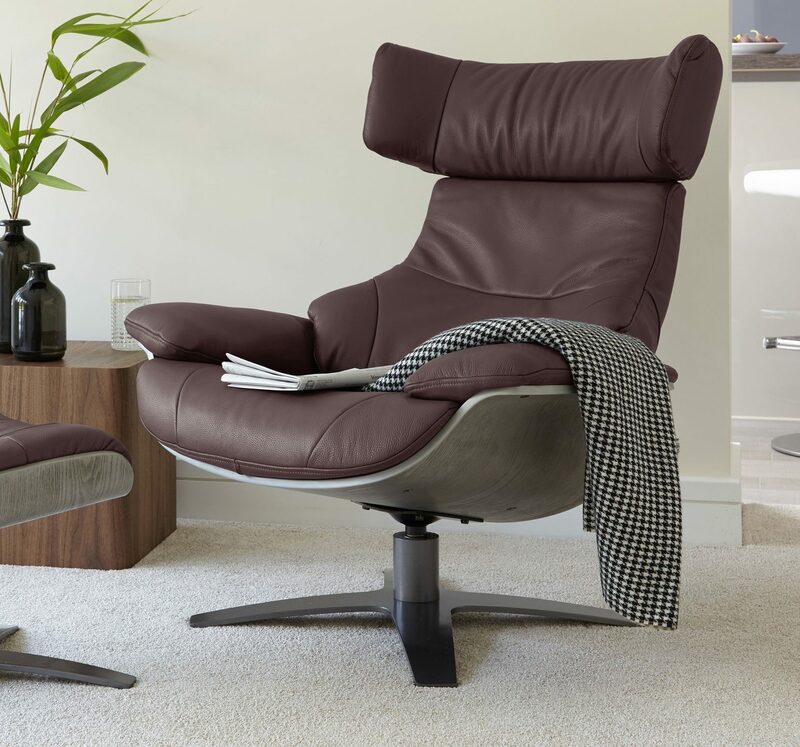 Karma Leather Reclining Armchair and Footstool Perfect for: ultimate relaxation. We understand that not everyone is or sits the same. That’s why with the Karma, you can adjust almost every element to suit your seating needs. Recline the seat, manoeuvre the headrest and put your feet up on the footrest. This occasional chair is definitely for those who want to kick back and relax. 3. 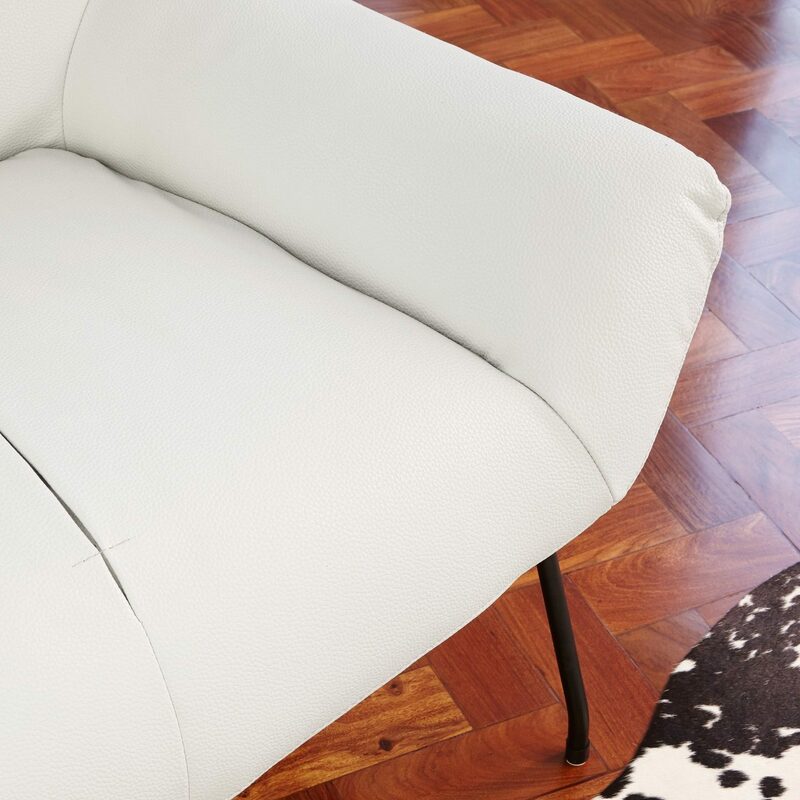 Drift Leather Occasional Armchair Perfect for: easy interior update. We love the Drift because of its simplicity. 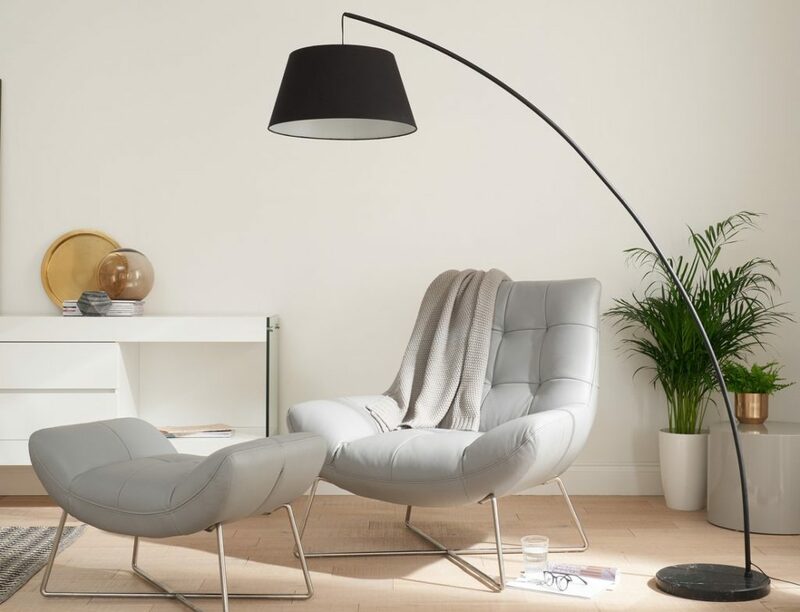 Its smooth curved shape and black powder coated legs give it a modern edge, but its simple design means you can easily style it in a variety of interiors. The armless style also makes this seat non-restrictive, creating such an open and inviting look. 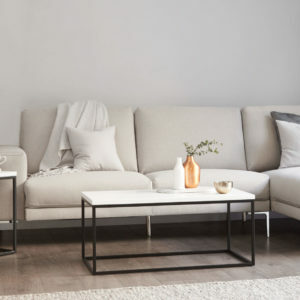 If you're looking for tips on how to style the whole of your living room space, then you can't miss our Living Room Basics: Ultimate Living Room Buying Guide. Already have a Danetti occasional chair in your space? You’ve got great taste! For your chance to be featured on our page, post a picture on either our Instagram or Facebook pages with #mydanetti. Do you ever feel that your room is missing something? It’s probably a be console table! A console table is a great piece of furniture for creating an attractive display area. With a console table, you can transform a previously unused or awkward spot into the stylish focal point of your space. 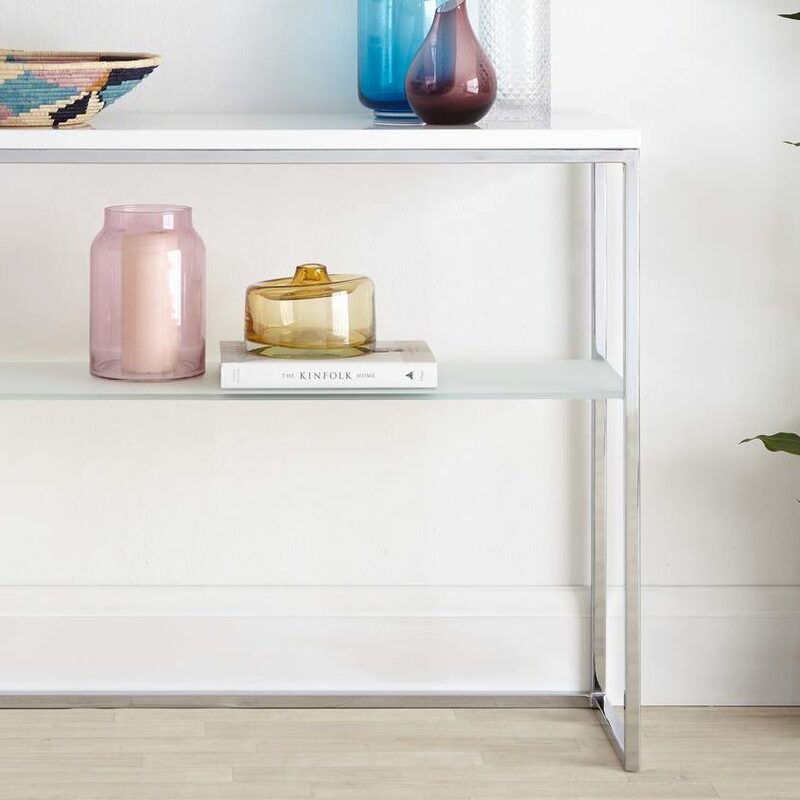 In this guide, we’ll walk you through some of our best sizing and styling tips so you can get the most out of having a console table in your home. The shape and size of the majority of console tables mean that they are designed to be posited against a wall. 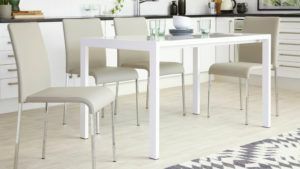 This style of table is generally thinner in width and therefore benefits from having the support of the wall to lean, prop and style items against it. If you’re planning on placing a console in your hallway, space awareness is key. You don’t want guests entering your home and bumping straight into your table! 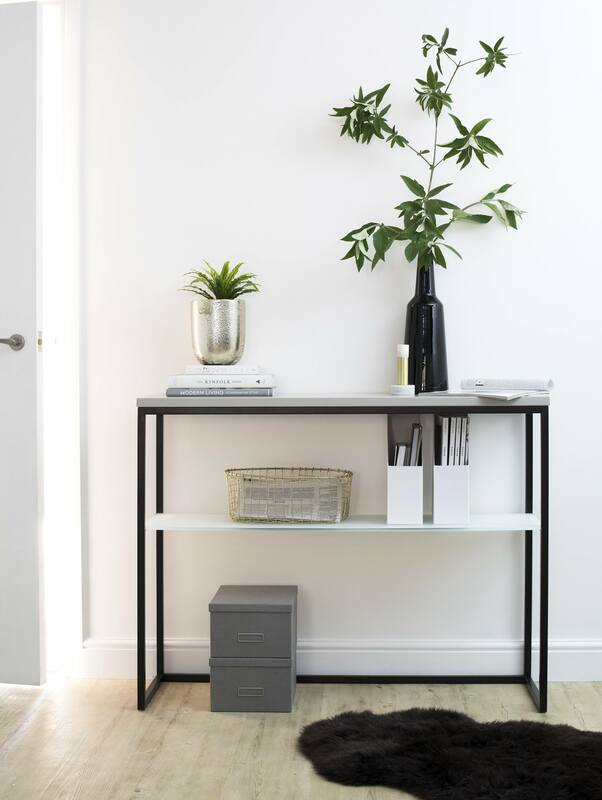 Keep in mind that the average hallway is around 90 -100cm in width, with the majority of console tables measuring between 30cm and 40cm in depth. Based on these measurements, this allows for plenty of room to walk past but it’s always important to check. If the table has a shelf, it’s also good to check the height and its weight bearing. This is so you know that everything you want to display will fit nicely in the space available. 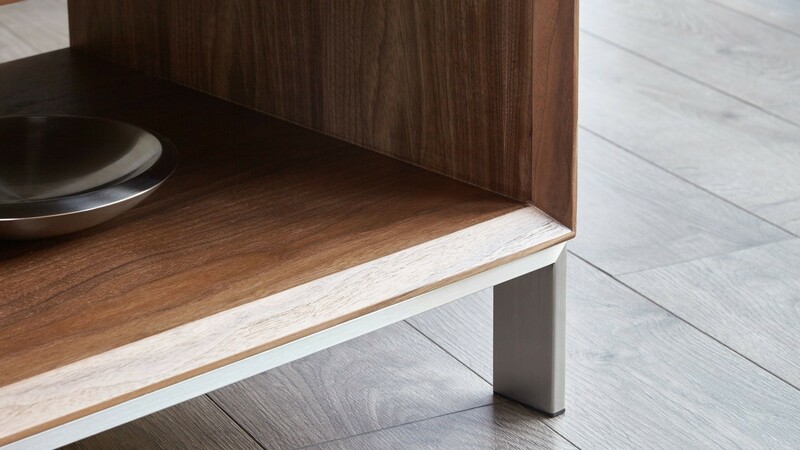 TOP TIP: Console tables have a lot less storage compared to sideboards due to the slim nature of their design. If storage is a must but you don’t have room for a storage unit, you can always store items in the open space underneath, either stacked or tidied away in stylish boxes. When choosing a table finish material, it’s a good idea to consider what flooring you have in your space. 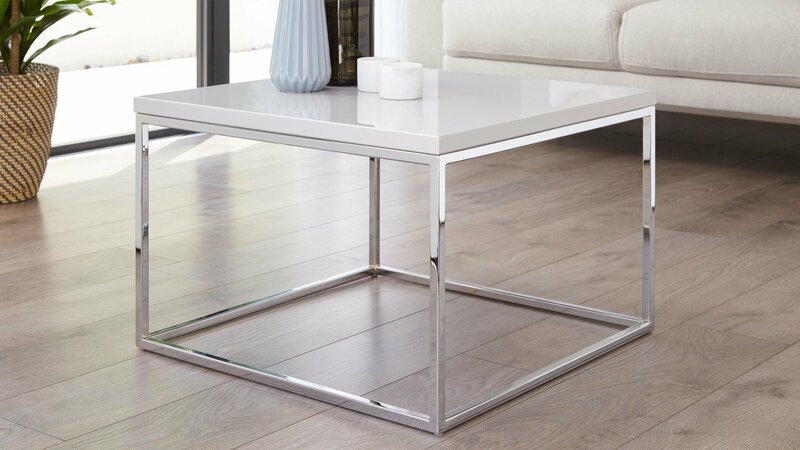 For example, if you have tiled or wooden flooring, a chrome, glass or mirrored, finished console table would be ideal for adding a crisp and modern look to the space. Chrome finishes are also great alongside coloured or patterned carpets and rugs as they will beautifully reflect the colours. Gloss fits into a range of interiors but would add a lovely smooth look when placed on a coloured carpet or coordinated tiling. 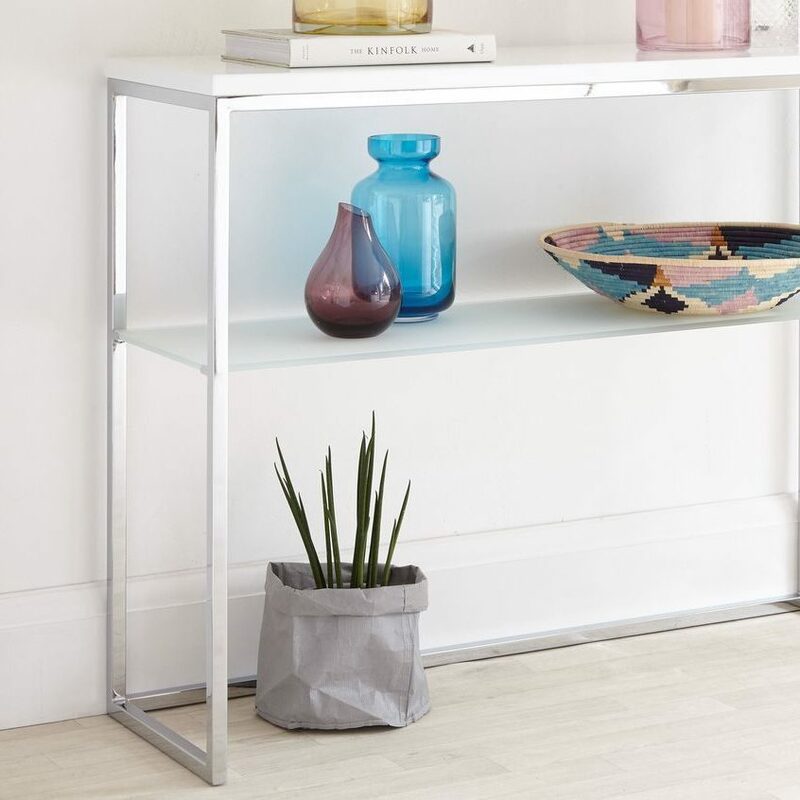 A glass console table is ideal for placement in a smaller space as the transparency of the glass really helps to create the illusion of more room. Glass is visually very light, making it something to really consider if you’ve already got a lot of colour and design going on in your space. A glass and chrome console combination is great for adding a hint of contemporary design while also blending seamlessly with a range of finishes within your existing interior. 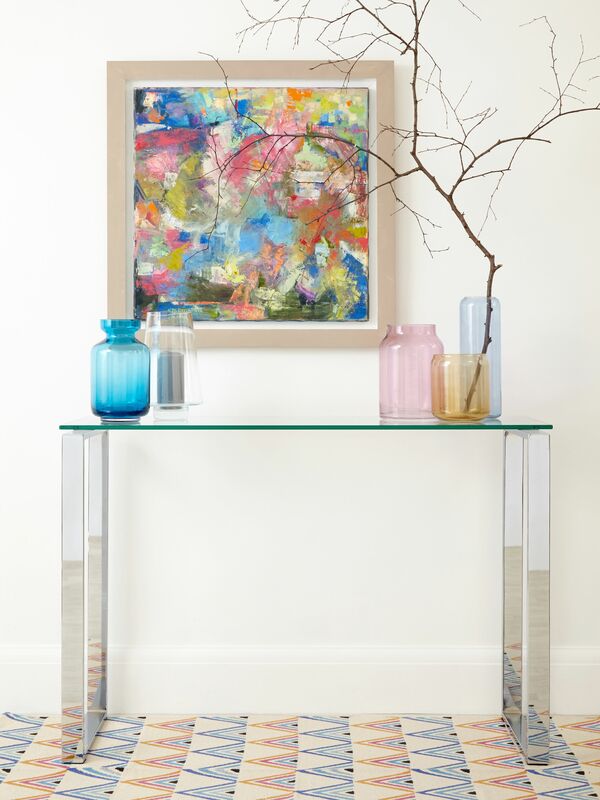 A high gloss console table will allow you to brighten up your space alongside adding a smooth and wonderfully reflective finish. Depending on what colour finish you choose, you can style, coordinate and really modernise your space. Brighter colours are perfect for adding a fresh and vibrant feel, so consider what atmosphere you want to create in your space to help with your colour selection. A white gloss finish will instantly add a clean, crisp and modern luxe look while darker hues such a taupe will add a warm and tactile feel. A wood veneer will bring such a tactile and inviting feel, a great first impression if you’re planning on putting your console in your hallway or entrance space. Rich wooden finishes like walnut are perfect for coordinating with more modern materials for a really on trend, mixed material look. Walnut looks especially good with dark luxe finishes like black chrome. A white or grey oak veneer finish has a wonderfully tactile and textured quality as you can see the stylish wood grain running throughout. Oak veneer finishes are much less reflective than gloss, making it a great alternative to having a bright, glossy finish in your home. If you place a console table in your hallway or on your landing, it will instantly create a useful ledge for your keys, purse, letters and a variety of miscellaneous items. A console table can also be used to create an ornate display in your living room setting by incorporating mirrors and table lamps. Its sizing means it that won’t take up much of your space while still creating a big style impact in your interior. 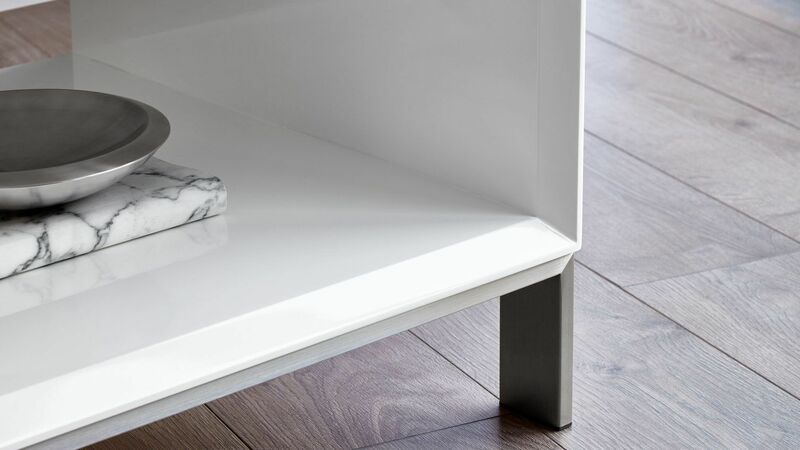 Style a console next to or behind your sofa for an extra yet slim surface. In a dining room, a console table can be a useful place to display your favourite china or crystal glass. Having a console in your dining space is also an ideal spot for placing any extra dining chairs that aren’t in use around your dining table. This way, the chairs will not look lost or clutter the space but rather create another stylish seating area. 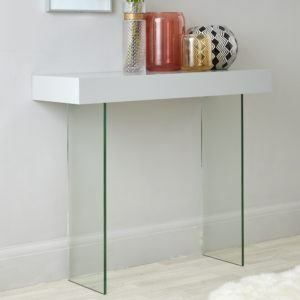 You could use a console table as streamlined dressing table by simply placing a mirror in the centre. It could also be used as a desk which is ideal in a bedroom as its slim shape means it won’t take up lots of your room. 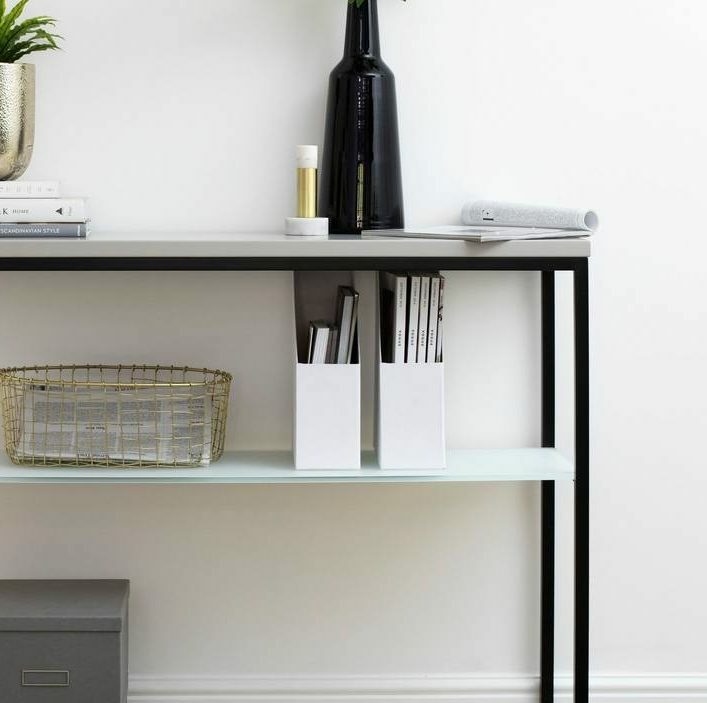 Place desk tides and organizers on and around the console to create handy storage spaces, just bear in mind that a console will be higher than your average desk. Now you know your sizing and finishes, it’s time to think about styling! 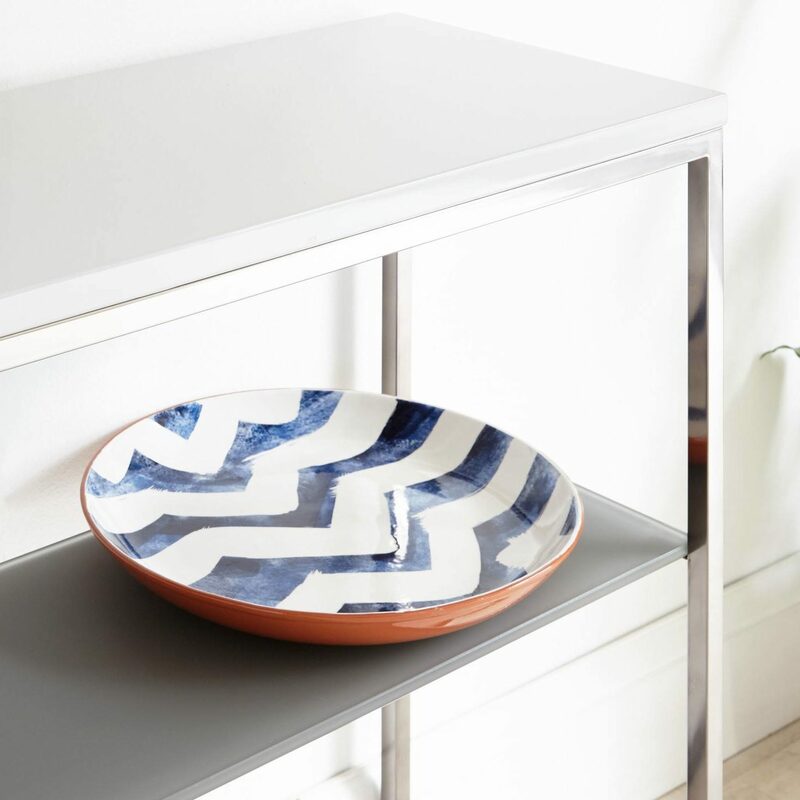 We’ve compiled a list of simple but super effective styling tips that will have your console table looking right at home in no-time: 1. To stop the surface or the shelf of the console becoming cluttered or messy, place a box or dividers onto the surface to organise the variety of items you wish to place onto it. 2. A decorative dish or tray is a quick fix to stop anyone just throwing their keys down on the table surface, helping to prevent minor dents and scratch marks. 3. Baskets, boxes and even plants are a great way to fill the empty space below a console table. They'll also help to add another element of style, colour and texture. Practical and good looking- what more could you need! 4. A stack of books is a great way to use part of the console surface space. Old or new, books will give the surface a styled yet homely feel. 5. Placing a mirror on a table against a wall will create a lovely decorative feature. It’s also great for bringing light to your space. 6. Make use of the wall above your console by hanging your favourite artwork or family photos. Having the table positioned underneath is a subtle but effective way to bring attention to the frame. 7. A real designer trick is to use a pair of lamps on either side of an oversized mirror or vignette of photographs. It’s a simple yet very effective way to create an impactful look. 8. 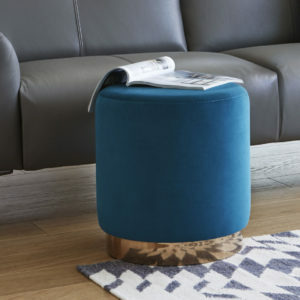 Small stools and ottomans are a great way to create a clean and symmetrical look. This arrangement will also provide a handy space when you’ve got more people to seat. For tips on how to style the whole of your living room alongside your sideboard, take a look at our Ultimate Living Room Buying Guide. 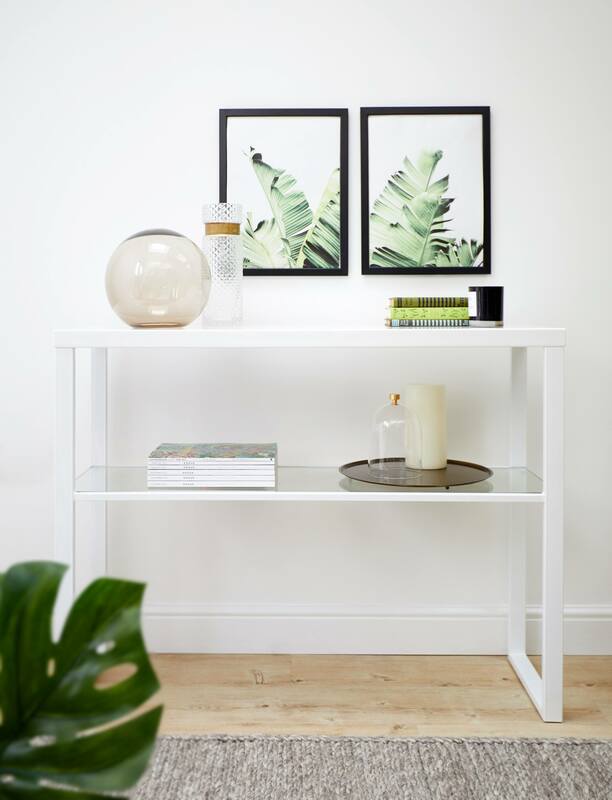 Have we inspired you to get yourself a lovely new console table? You can check out all of the consoles in our range here. If you already have a Danetti console in your home we’d love to see! Share a picture on Facebook and Instagram with the #mydanetti for your chance to be featured on our page. As homes get smaller and storage space gets converted into living space, it can be a challenge to keep our homes looking clean and tidy. When it comes to maximising space in a small home, there are many clever storage ideas which are easier than you think to put into place. The key is to choose high-density storage and multi-functional furniture to get the most out of your small space. Our Stylist shows you 6 of the best storage ideas for compact living. Learn how you can clear the clutter and create an open and spacious small home. Use this as your shopping list for a bright, open and multi-functional home. 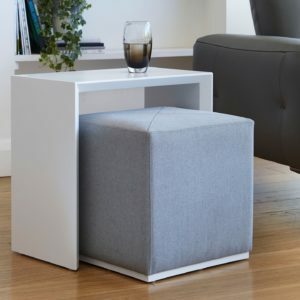 This modern side table is a clever way to combine a footstool and side table, all in one. 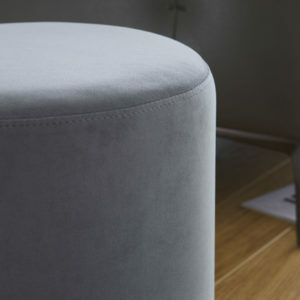 When needed, the padded stool can be separated from the table, allowing you to put your feet up after a long day. Or if you're entertaining you have an extra seat for extra guests, however, if not needed, it slides neatly under the side table taking up less space. As a result, making your small home feel larger and more open and eliminating any extra trip hazards! When entertaining in a compact home, seating all of your guests comfortably can be a challenge. 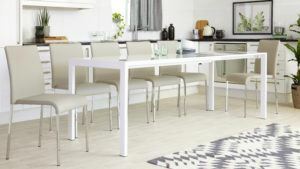 The Metro Extending Dining Table is a compact 4 seater with a thin, space-saving frame, which can be extended not once, but twice to a healthy 8 seater dining table. 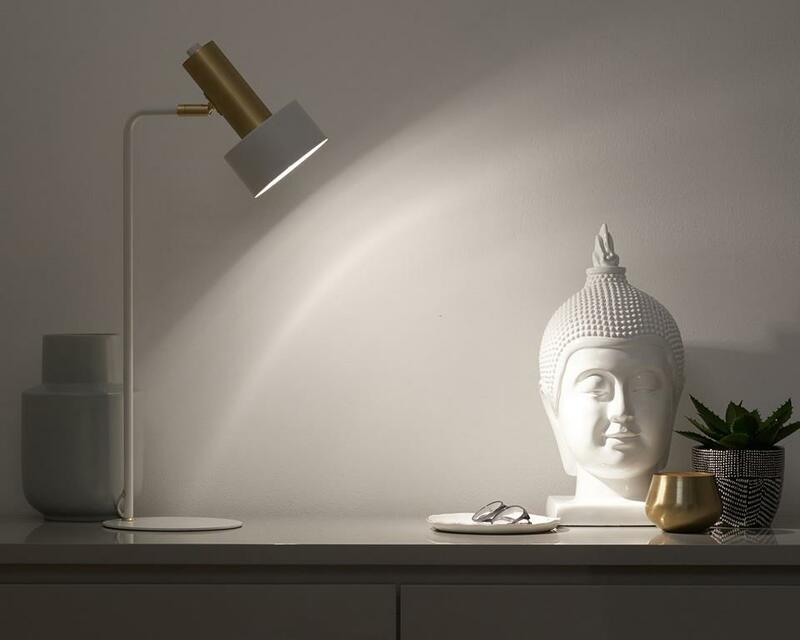 The slim metal frame keeps the overall look and feel of this table light and open. What's more, both extension leaves are kept in the table itself, meaning you don't have to find any extra space for storage. When it comes to buying an extending dining table, don't forget to check where the extension leaves will be stored. If they do not stay with the table, consider where else these can be kept, such as under a bed or sofa. But in those smaller properties- internal storage is the best option! Pair with a streamlined stackable dining chair, such as our Tori dining chair, to easily store any extra seats when not needed. Stackable dining chairs will have a much smaller footprint to store, and give you a significantly higher level of comfort than foldable dining chairs! One of the easiest things you can do when it comes to maximising space in a small home is to consider the finish of your furniture. You can create the illusion of space simply by choosing glass furniture. Glass furniture allows light to flow freely throughout your compact home, giving the appearance of a bigger space. 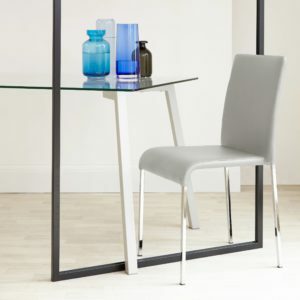 Our Zen 6 Seater Glass Dining Table is the perfect solution for compact homes. 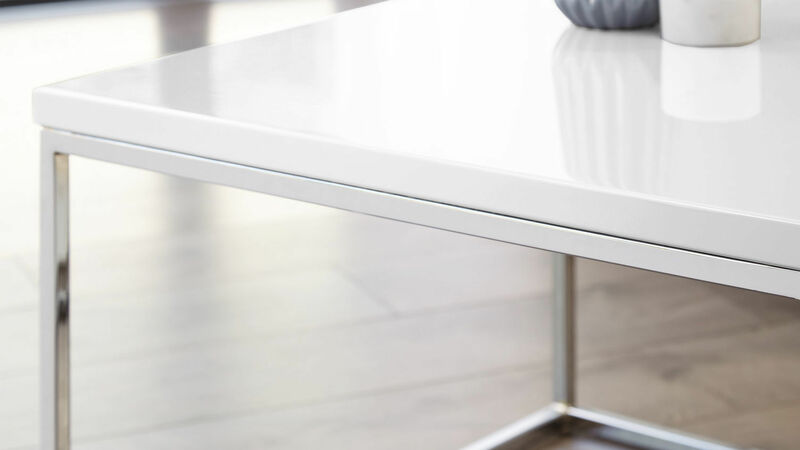 With its tempered glass top and trestle style legs, the Zen creates a modern silhouette while allowing light to flow. Team up with the Luka White Oak Dining Chair for a slim, minimal look. 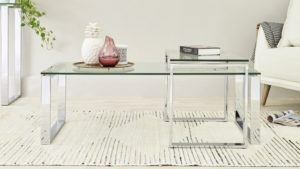 To combine both Multi-functional furniture and Glass Furniture, choose the Tiva Coffee Table set for your compact home. As with the Zen, the glass top keeps your room open and light, while doubling up on extra surfaces. Stack the 2 tables together when tight on space, or separate for a matching glass coffee table and side table set. When it comes to dining furniture for small homes, the biggest thing to consider is the footprint of the furniture. A smaller footprint means it will take up less floor space, allowing you to add extra dining chairs or save floor space. 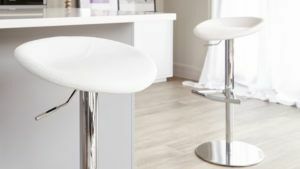 Typically, a gas lift bar stool will have a slightly smaller footprint than a fixed height barstool. 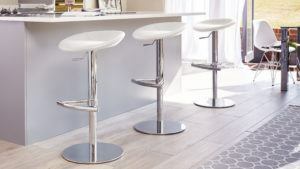 This is because a gas lift barstool has a central pedestal base, opposed to 4 legs on each corner. The backless seat will also help you space feel more open, once again maximising the space you may or may not have. Possibly the best way to maximise space in a small apartment or house is to invest in storage furniture. However, these pieces can be bulky and not the most attractive. We would recommend a compact sideboard. They are smaller than a regular sideboard, but still, offer plenty of storage to hide any unwanted clutter and give the illusion of space. 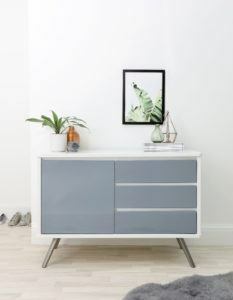 Choosing a high gloss sideboard, such as the Compact Assi and White and Grey Gloss, will reflect light around your home. This will help stop too many shadows and keep your small space bright and open. 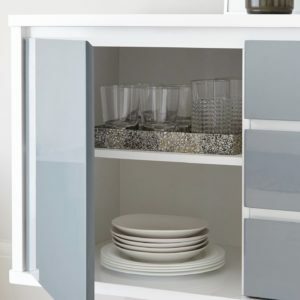 Make the most of the handy drawers and cupboards for hiding those bits and bobs which can make smaller homes feel messy. Getting the right furniture in a small home can make a huge difference to your way of living. However, there are smaller changes you can make which will still help a small space feel bigger. Layout- Spend time moving furniture to get the best possible layout for your home. Take a look at our Blog Post about open plan living for tips and tricks when it comes to zoning your home. Colour- Using darker colours in small homes will not help make the space feel bigger. Use light colours both on walls and in soft furnishings to keep your small space bright. Finish- As with the use of colour, darker wood finished can make compact homes feel smaller. Opt for White or Glass furniture and think about a high gloss finish. The reflective surface will bounce light around the room giving the illusion of a larger space. Declutter- Small spaces can easily feel messy and crowded, so keep props to a minimum and stay on top of the loose papers! This is why pieces such as our compact sideboards are so handy! Mirrors- It's common knowledge that mirrors can create the illusion of a bigger space, so make the most of it! A well-placed mirror can change the shape and look of a room instantly. Place opposite a window for maximum effect. Console Tables- For those smaller hallways or living rooms, Console tables are a great addition. They're a practical extra surface for your favourite pictures and vases, but can easily be used as a compact desk or dressing table. 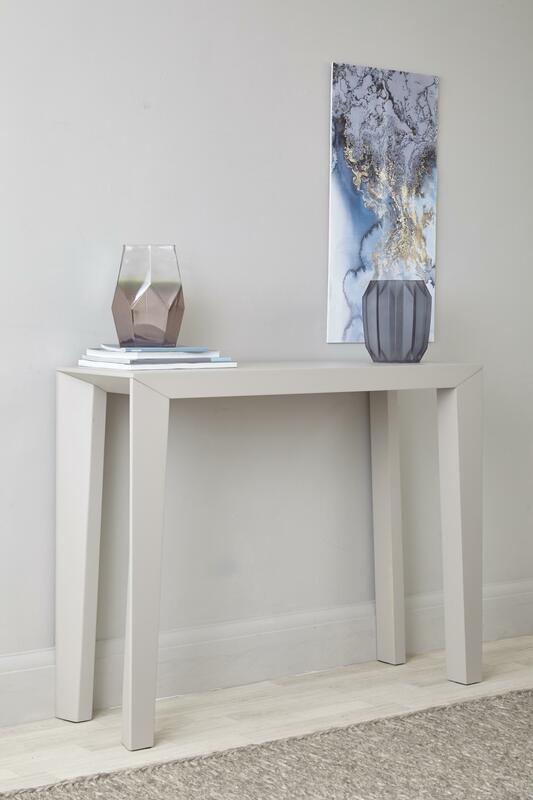 Calanna Console Table- add an extra, slim lined surface without blocking any light. So there you have it. Hopefully, you are now feeling inspired to make the most of your interiors with our top ways to save space in a small home. Got any tips which work for you? Tell us about it! And don't forget to share your pictures with us by tagging us with #mydanetti across Instagram and Facebook! As any interior designer or furniture specialist will tell you, a sofa is one piece of furniture that you should really invest in. This means choosing a sofa that is built to last, that performs well over time and that can stand up to daily use in a busy home. 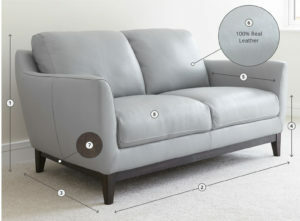 Real Leather ticks all of these boxes, which is exactly why real leather is such a popular choice for a sofa; it is undoubtedly the most durable material available. You can’t beat it for long-term performance, durability, ease of maintenance and of course… Modern Style! What Makes Real Leather So Durable? 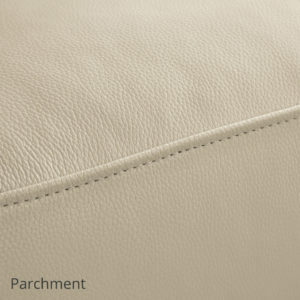 The leather we use for our range of sofas is extremely thick and falls into the Top Grain Leather category. Top Grain leather goes through a considerable process to remove any marks and blemishes on the hide to create its uniform appearance and makes it more desirable for home furnishings. Our pigmented Top Grain Leather has been dyed and treated with a protected surface. This offers great colour uniformity and maximum resistance to spills and stains, while it's thickness also increases its strength and durability. All together you end up with a high-quality leather that looks great but also is very fit for purpose. 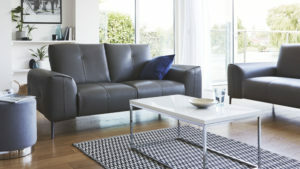 Thinner, lower quality ‘Split’ leather is commonly used in cheaper sofas but will not offer the same durability. It will wear quicker and be more susceptible to rips and tears, meaning you'll be replacing your furniture much sooner than anticipated. Top Tip: Aniline Leather, often cited as the most premium type of leather, actually has little to no treatment to protect it. So whilst it is a premium material, it may not be the most practical for a modern sofa. This type of leather is used when people want to build a worn look, or patina, but it doesn't give a clean, uniformed look. Top Grain - The top layer of the hide usually the thickest layer when the hide is separated. Top grain is the highest quality, thickest part of the hide and such requires less processing resulting in a softer feel. Split Leather - This is the thinner part of the hide and as such often needs a protective synthetic top treatment. The result is a lower quality more rigid leather. Pigmented Leather - A top grain leather that's had dye and protection applied to the surface. As a result, this offers protection from marks and stains and evens out surface appearance. Features of Pigmented leather are great durability, very even colour and grain and a soft feel. 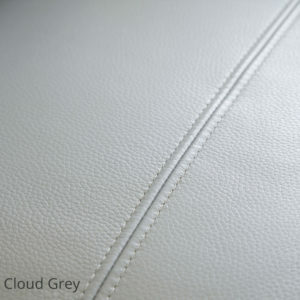 Bi-Cast Leather - A split leather with a thick synthetic layer placed over the leather which is embossed with a look-alike grain. 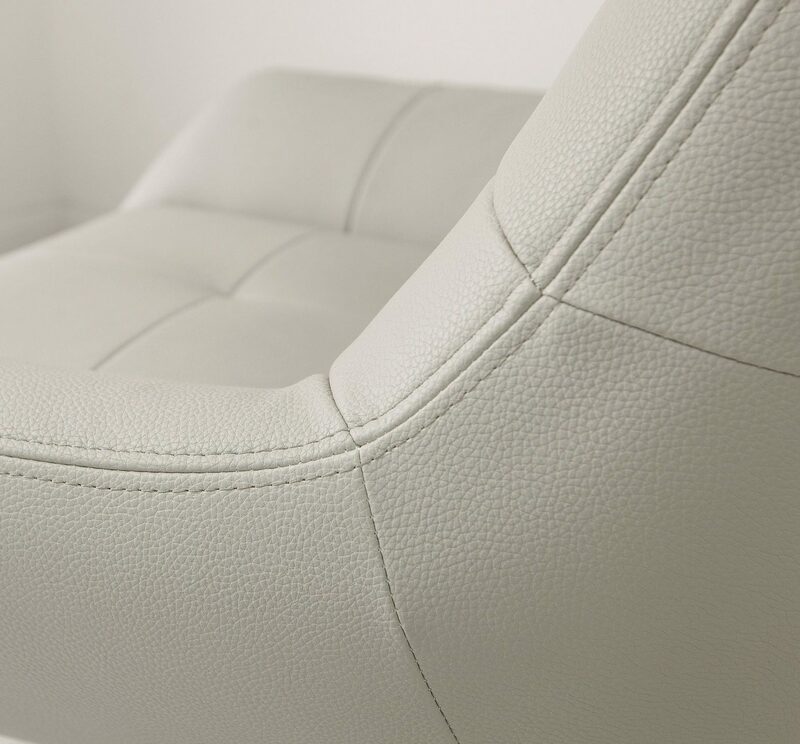 The features of Bi-Cast leather are a stiff texture (more suited to contract settings), consistent grain and easy cleaning. Waxed Leather - The surface of the leather is buffed, then waxed and has a smooth, very shiny appearance with almost no grain which can be wiped clean. Waxed leather will show scratches but can be re-waxed although has a stiffer feel and can be prone to cracking. 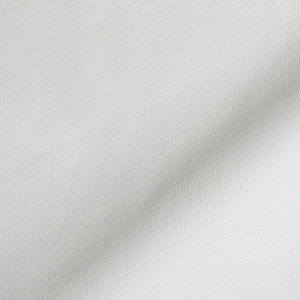 Semi-Aniline - A top grain leather that is pigment dyed and treated with a very light protective treatment. It has some of the features of aniline leather but with a harder feel and increased durability. 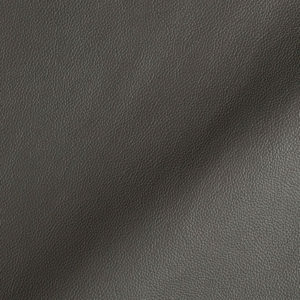 Aniline Leather - A top grain leather dyed with aniline dyes but with no protective treatment applied. Features of aniline leather are that it is very soft and luxurious in feel and will show natural blemishes, scratches and scars found in the hide. Aniline leather also has variation in colour consistency. People often see Aniline leather as the best in class but it doesn't have the protection that other leathers have. 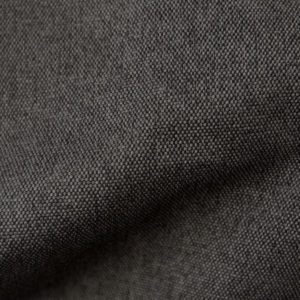 Nubuck - a top grain leather which has been treated so the natural fibres produce a velvet-like surface. Soft to the touch it has an almost fabric-like look and feel but has no protection at all from marks or spills. Vintage Leather - Leather that has been double-dyed and purposefully buffed in areas to give an aged look. A feature of aged leather is that the uneven surface can be quite forgiving but it has very little ongoing protection. Because leather sofas are so durable, it makes them even easier to care for. Marks and spills from food and drink are easy to remove compared to marks on a fabric sofa. However, stick to our do’s and don'ts of cleaning to make sure you keep your real leather looking its best: DO use an absorbent cloth or sponge to wipe the affected areas as soon as the spill occurs. Lukewarm water or diluted mild detergent should do the trick! DO be sure to dry your leather furniture after cleaning with a clean, soft cloth rather than leaving your leather furniture to air dry. DO check the label before using any product to check that it’s not too drying on leather. If you’re not sure, spot test an inconspicuous area first! DO invest in a leather maintenance kit. Find one which will look after the leather before, during and after cleaning to make sure your leather furniture lasts for years to come. BE AWARE that keeping your real leather sofa in direct sunlight can cause some fading and deterioration over time. Sunlight will have the same effect on fabrics so just give it some thought when you consider the placement. BE AWARE that brand new clothes, especially jeans, can mark upholstery. To clean marks left by clothing, use something such as a magic sponge immediately for the best results. Don’t drag your sofa when putting it in position, but rather lift it to manoeuvre it in your space. Sofas can be very heavy, so it’s important to protect your flooring. 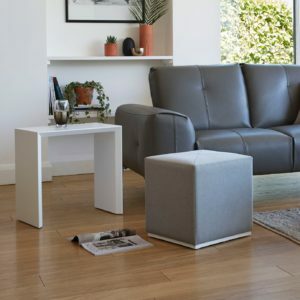 Many sofas will come with floor protectors but make sure there’s some kind of protection on the feet, especially if you're placing the sofa on wooden or hard flooring. As tempting as it may be, try not to sit on the arms of the sofa. This will not only weaken the structure of the sofa over time, but it will also pull on the upholstery. 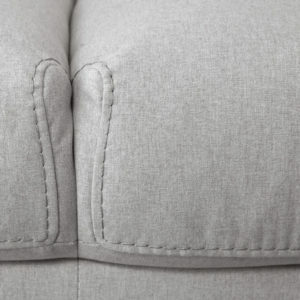 When cleaning, don’t forget to get in-between all the small nooks and crannies of the sofa cushions. Vacuum regularly to keep your sofa spick and span. Do not use chemical-based cleaners on real leather. Spot clean with warm, soapy water, and invest in a high-quality Leather care kit. If the cushions on your sofa can be moved, it's a good idea to rotate them regularly, giving them a good shake and plump up. 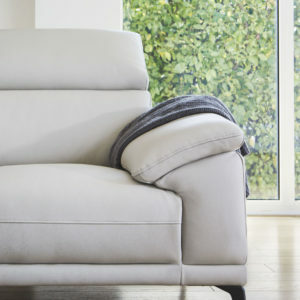 Give your sofa a quick but regular clean to stop marks from building up over time. Just be sure to wring out your cloth thoroughly and dry as soon as you've finished. Everyone has their favourite spot, but it’s best to use your sofa evenly. This will stop some parts becoming more used and worn than others. In the previous post of Airbnb Basic for Beginners, we covered the key pieces of information you need when starting to host on Airbnb, and how to get the best listing for your home. 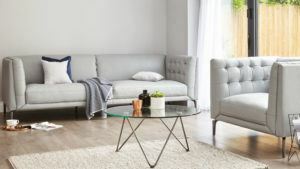 We also gave you our top interior tips for the best type of furniture to kit your home out in, and the key features for practicality and durability. If you've missed it, check it out right Here! 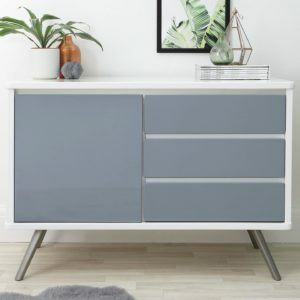 In this post, we're going to look at the most appealing colour schemes for your home and give you a few cost-effective storage solutions, all to keep your home stylish and desirable on Airbnb. When making your home appealing to potential guests, it's really important to consider the colours you use. If you have a look through what Airbnb has to offer, I guarantee the spaces that appeal most to you are those where colour has been carefully considered. If you do a quick Google search you can find so many tips on which colours to use in each room and the importance of getting this right, not only for aesthetics but your mood too! Take a look at our top 5 tips on how to decorate your home like a pro! Create a soothing colour palette. Neutral colours are the standard when creating a serene interior, but we're not talking 50 shades of beige. Stick to cool colours like greys, blues and play with different tones of white. Bright and airy interiors are more sought after as your house will look larger and give off the feeling of tranquillity- exactly what Airbnb guests are looking for! Once you have your base colour palette, you can begin to furnish your home with complementary colours. It's always wise to keep your key items such as dining tables and sofas neutral and have fun with the smaller more inexpensive items. Keep a theme running throughout your home. By all means, the kitchen can be decorated in a more lively manner, and the living room more calming, but try to stick to similar colours so walking from one room to the next feel seamless. When undertaking a home makeover, don’t choose a colour which is too bold or too trend focused, unless you want to be re-painting your home twice a year! Always go for timeless colours, that way you’ll attract a wider audience and won't need to renovate yearly. Keep the chill out zones as chill out zones. Nobody wants to unwind in a bright purple and orange living room. Promote a feeling of tranquillity by using blues. Introduce subtle touches in your smaller furniture pieces and soft furnishings. 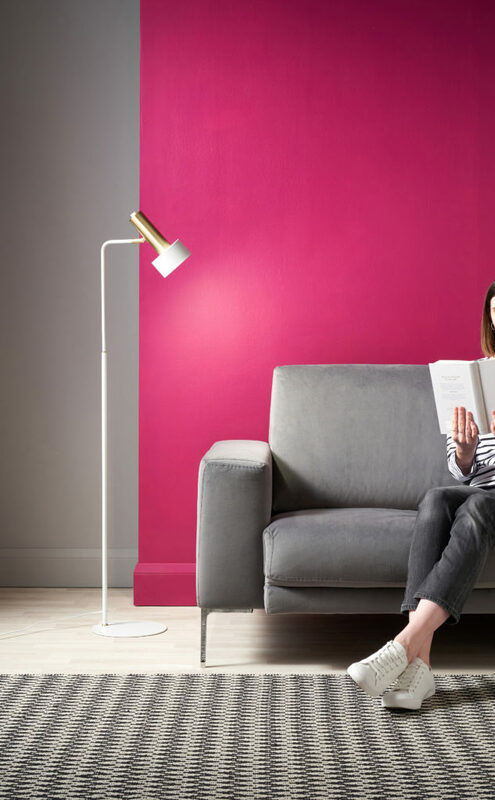 Now you know the key factors on how to use colour in your Airbnb home, we’re going to give you some examples of quick and cost-effective home updates. Just to make sure you nail hosting on Airbnb! We will focus on the calming colour pallet of Powder Blues, White, Greys and a touch of warmth through the use of wood. It's no secret that your kitchen is usually the hub of the home. It is a constant hive of activity! You're either cooking for the family, having drinks with friends, having a cup of coffee in the mornings or rummaging for a midnight snack. For this reason, we can be more playful with the colours we use in our kitchens. The more activity, the more colour! 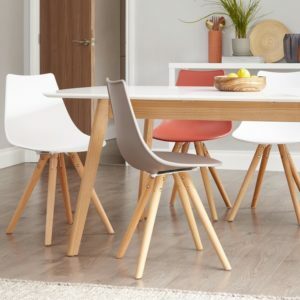 Our Aver Oak and White Extending Dining Table is a great option for Airbnb homes as its extension leaf tucks neatly inside the table, so no need to extra storage. Most notably though are the Finn chairs which bring all the feels, which come as part of the set. 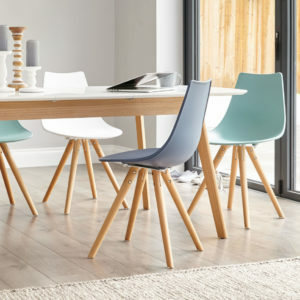 Available in 11 colours, the Finn Dining chairs are plastic, durable and easy clean, and will sit in any existing, or new home interior! What we love most about this 4 - 8 seater extending dining set is the calming tones of Aqua and Steel Blue balanced out with White. Keep the rest of the room neutral and play with textures to add more depth and style. Alternatively, you could try an earthy colour palette of Taupe, Brick Red, White and Taupe Grey, but play with the proportions of each colour. The more Bright Red, the moodier the feeling. However, More Taupe and White with just a hint of Brick red will create a calmer kitchen with a hint of warmth. Opposite to your kitchen, your living room needs to be more calming as this is usually where you'll unwind in the evening. Play around with your soft furnishings and more affordable pieces of furniture, such as side tables. As side tables tend to be more cost-effective, you're able to update these as you update your interior style. 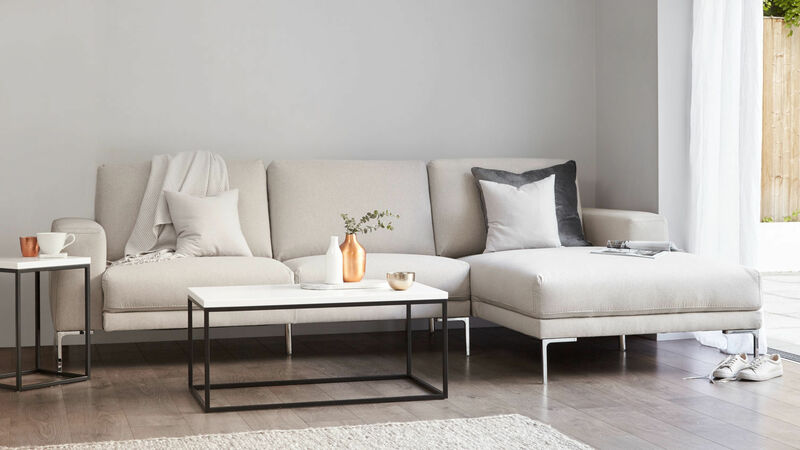 Keep your investment pieces, such as your sofa, in a more neutral colour so it will fit with your ever-changing colour scheme for years and years. However, if you do decide to pick a colourful sofa, be sure it is one you love and will be happy to live with. Never choose a sofa because it's on trend! Choose a piece you love and it's sure to last. Add a touch of colour to your home by using this calming Powder Blue. It will add warmth and promote feelings of tranquillity. 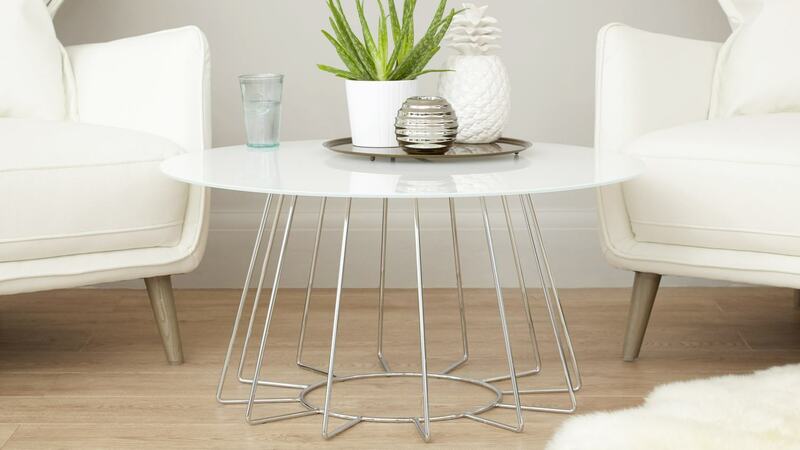 Along with the reflective finish, this high gloss side table is a steal at under £100. Say you love this colour, but don't feel adventurous enough to purchase coloured furniture. Try adding a splash to your walls! Dulux's colour of the year 2017 Denim Drift is a perfect option for updating your living room while nailing 2017 colour trends. If you're a fan of more luxurious interiors, perhaps introduce colour into a real stand out piece of furniture. By keeping the majority of your home simple and having one statement piece, you can create a real focal point. 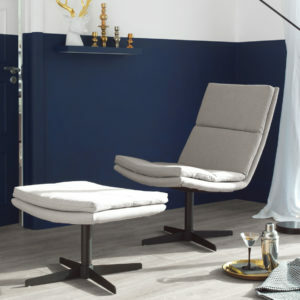 The Luxe Chaise comes in a variety of colour options, including this deep Smoked Blue. The Chesterfield quilted style gives you an abundance of luxury style, while the Chaise is just a wonderful statement in itself. Feeling really adventurous? The Luxe Range also comes in the most fantastic Mustard Yellow! If you wanted a really dramatic look, pair the Mustard Luxe Range with dark blue walls and Walnut highlights for an opulent, traditional room with a modern twist. Not one for the fainthearted! When it comes to managing an Airbnb property from a distance, or letting out your home while you're away, it's hard to keep tabs on any little spills or thrills. That's why stackable dining chairs are such a great idea. A must have when it comes to rental properties. 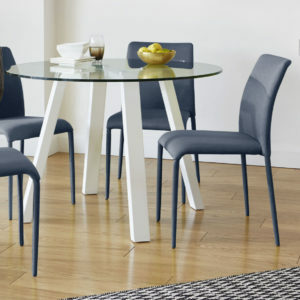 Our Riva Fabric Dining Chairs come in 7 colours and are ideal for Airbnb homes. Say you're going away for the weekend and don't want any potential damage your pricey real leather dining chairs. Keep a spare set of stackable dining chairs in the garage for use when your home is being borrowed. That way, you can add more colour to your home and also keep your best as your best. Just remember to protect your Fabric Dining Chairs with a barrier spray, such as Scotchguard upholstery and fabric protector. Bright white interiors are always popular. They exude a minimal Scandi vibe and, photographed well, look SO good! However, when it comes to interior colour trends, dark walls are certainly having a moment. Create a real feel of warmth and intimacy with dark grey walls and Walnut furniture. 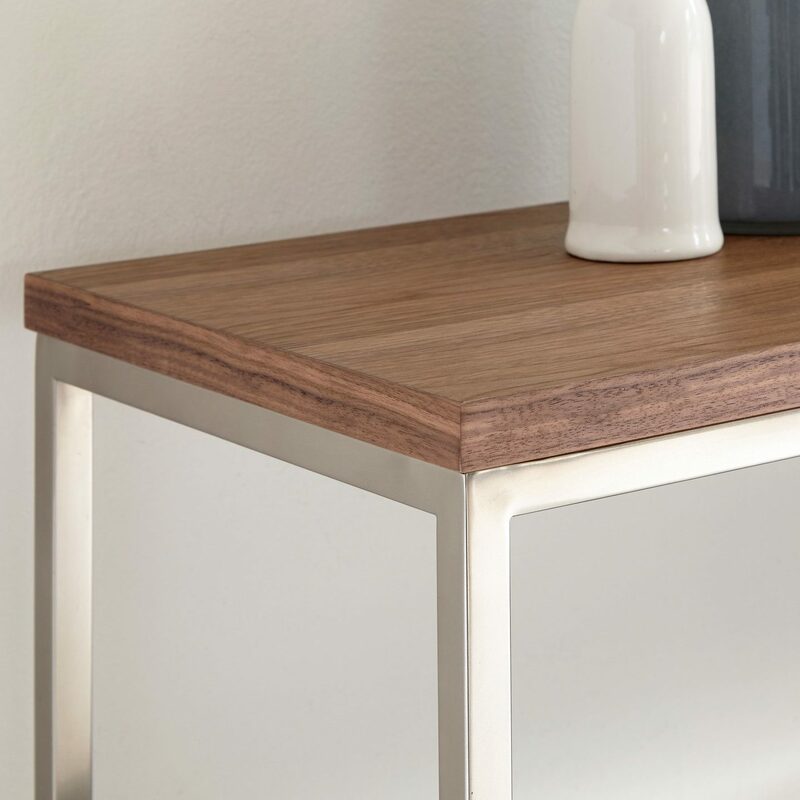 Our Walnut and Black Chrome Acute Console Table is perfect as an extra, practical surface, but also brings that welcome touch of sophistication. 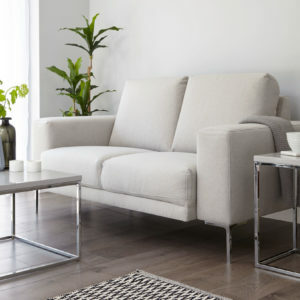 Plus, the Acute range is a really stylish and cost-effective furniture range, starting at just £89 to £199. 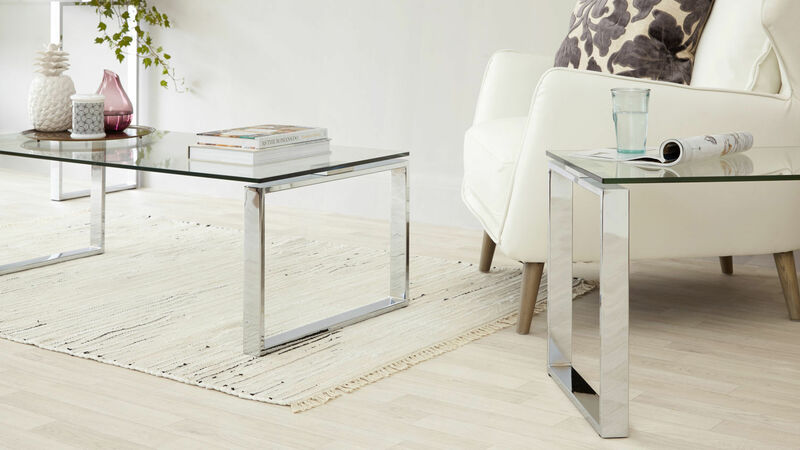 Mix and match your coffee tables, side tables and console tables to a coordinated, high end feel. Well done, by now you'll have the most desirable home on Airbnb. Getting your home Airbnb ready is just the start of it. Now you'll have to upload your property, with all those bright and airy photos of your newly updated home, and scope out those potential guests. There are a few important factors to take into consideration before letting your house out to any part-time guests. Communicate through Airbnb. Use this to communicate safely with any potential guests. All conversations will be recorded and monitored which is so reassuring. Plus, Airbnb will blank out any mobile numbers and email addresses to keep communication safe. Know your guests. Before letting your property out, you can get to know your guests by having clear and verified profiles. People cannot pretend to be someone they're not, and if you are unsure, you can ask for verification, such as a video profile or government-issued ID. Understand the visit. It's also a great idea to chat with your visitors and get to know them. Find out what they will be doing in your home and why they want to stay. That way you can whittle out any potential home wrecking parties! Keep your wits about you. Pay through Airbnb. Airbnb will always handle the money to make sure you as the host are getting your payment. This way you are protected against any scams. This goes for both Hosts and Guests. Meet your guests and welcome them into your home at check in. You can still cancel a booking at any time. Therefore if you feel unsafe at any point, you don't have to go ahead. Use a Security Deposit. Nobody wants last-minute cancellations or damages to your home! This will also cover you in any situation, so you're not out of pocket. 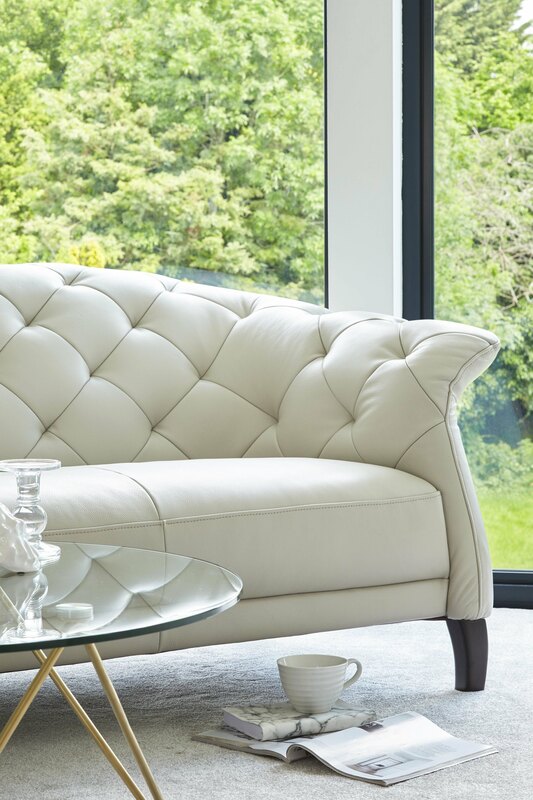 A few weeks ago we gave you, our loyal and stylish customers, the opportunity to ask our product experts and stylist your sofa buying questions. In this blog, we will be answering your questions and sharing our top tips for the little bits which can sometimes be overlooked. Before you start looking for new sofas, you must do your homework and check the size of your room. The last thing you’ll want is to spend your hard-earned cash on a couch which doesn't fit your space. 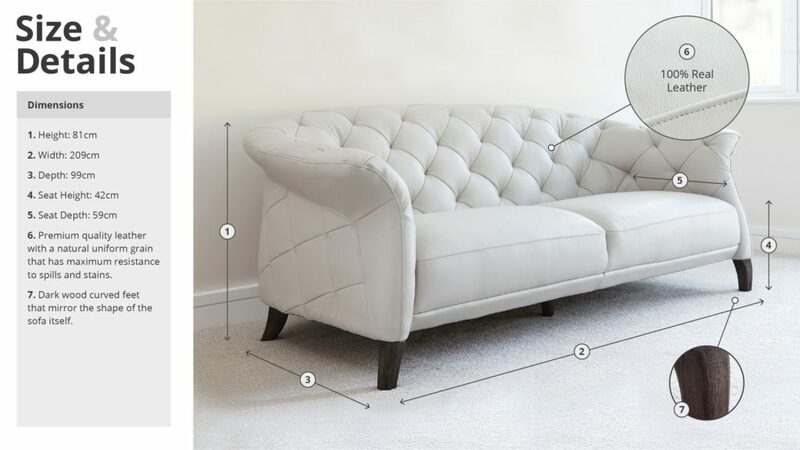 It’s key to check these measurements against where you will be positioning your new sofa. Double check spacing around any doors and walkways, so you're not side-stepping around your house! What are the colour trends for this season? What trend should I invest in? Colour trends for interiors tend to hang around for a few years, with subtle updates for each season. This year we’ve seen the rise of millennial pink, luscious greens and the continued dominance of grey interiors. AW17 plays on these key colours, refreshing with a warmer, more opulent twist. Millennial Pink becomes Plaster Pink. Palm Green becomes Emerald, and Cool Greys are updated with warmer tones and natural accessories. However, it's important to remember what is in fashion right now may not be in 5 years time. That's why when you’re buying a sofa, you need to look for a classic, timeless style; something that will last you for years to come. Your sofa is an investment piece. 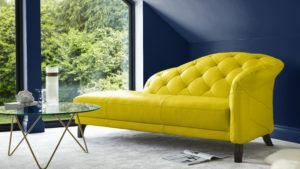 You’re probably looking to spend upwards of £800 on a sofa, which you won't want to be doing every couple of years. That's why we recommend playing with your soft furnishings and wall colours to reflect trends and keep your settee stylish and timeless. Stylist's Tip: If you want your open plan area to feel light and airy, opt for a slightly lower backed sofa. This is a more modern shape and allows you to see above and across your space. What are your tips for zoning an open plan room? 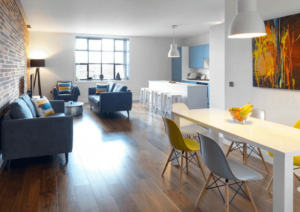 Open plan living is on the rise. With more of us knocking out walls for a family-friendly, more social home, creating the perfectly zoned living area can be a challenge. For this, we would recommend first understanding how you naturally flow through your home. For example, placing a couch in the middle of a walkway is not ideal. Start by drawing a rough plan of your open space and decide what destinations you need. This could be a living area, dining area and kitchen, or perhaps just a work zone in your living room. This way you can physically draw on the zones, clearly see your walkways and place your furniture accordingly. Stylist's Tip: With open plan homes, you tend to see all 4 sides of your furniture. Make sure when you’re shopping that you have a good look at the back of the sofa, and make sure it's pretty to look at! So, to answer your question, there is no right or wrong way to zone a room. It’s a lot of trial and error, but having a plan of the areas you want, and an idea of the space you have helps! How do I keep my sofa looking like new? There are many things you can do to keep your sofa looking ‘box fresh’. One of the most important tips is using fabric protectors! 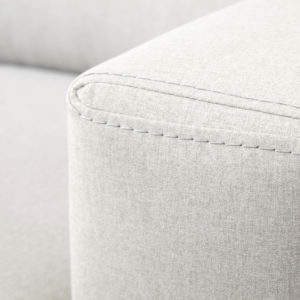 You’ll kick yourself after that first spillage if you don't protect your sofa from day 1. We would highly recommend using a fabric protector, specifically one designed to repel stains and allow for a quick and fuss-free cleanup. There are plenty of products on the market, however, we recommend Scotchgards Fabric and Upholstery protector. Just be sure to read the instructions correctly before use and test an inconspicuous area first. 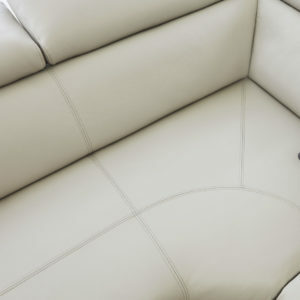 When it comes to keeping a Real Leather Sofa clean, it requires a little more care and attention. Avoid any heavy chemicals on leather as this can cause damage and discolouration. Firstly, using a soft brush attachment on your hoover, give your sofa a good once over to pick up any crumbs, dust and spare change. Take a bowl of warm water and add a touch of white vinegar. Next, dampen a clean microfibre cloth in your solution and wring it out very well- you want a damp cloth, not a wet one. Wipe down the entire sofa, starting from the top. Rinse out your cloth as and when. Take a clean, dry towel and dry off your sofa. It's tempting to dry with a hairdryer, but this will dehydrate the leather, which we don't want. 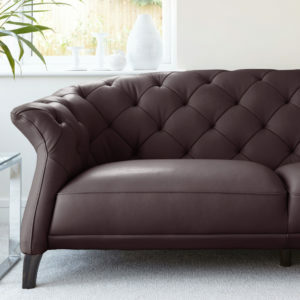 Once your sofa is clean, you can use a leather conditioner (found all over the high street) to protect the leather even further and keep it hydrated. Just be sure to follow the manufacturers directions carefully! What’s the most durable sofa material? Leather: Typically, a leather sofa can last up for 4 times longer than a Fabric Sofa. This is down to the makeup of leather. It's super tough and flexible, meaning it's less likely to tear or wear away. It's also easier to clean, as spills tend to naturally run off. 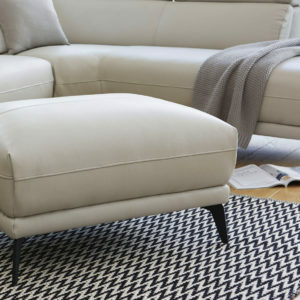 Faux Leather: A slightly cheaper alternative to a real leather sofa, but giving the same, luxurious look. 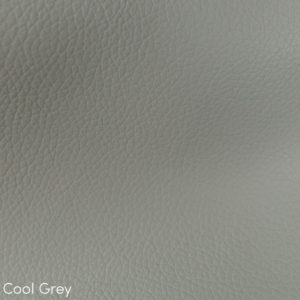 Faux leather is not as flexible as real leather but will still move and age in a similar way. It's also a very low-maintenance material. Velvet: Having a huge resurgence in the interior world, Velvet sofas are super luxurious and bang on-trend. However, tread with caution as Velvet requires a lot of care. If you're interested in a velvet sofa, be sure to gather samples and check the quality of the velvet. Linen: Linen has such a beautiful look and feel to it, making your seating look comfy and stylish. It is also naturally hyper-allergic as its made from all natural fibres. Linen sofas are susceptible to staining though, so make sure you protect it! Cotton / Polyester Blends: this is a very popular fabric for sofas, as you get benefits from both Cotton and Polyester. It's strong and durable and easy to keep clean! Wool: A more traditional sofa fabric, wool is tough and warm. It's also a really sustainable material, biodegradable and recyclable- helping the environment all the way. Wool also doesn't lose its form and will naturally bounce back to its original shape. Stylist's Tip: The fabric you choose for your sofa can change the feel of a room instantly. For modern interiors, choose leathers and flat weave fabrics. More tradition interiors will suit prints, wools and linens. What style of sofa will suit my modern home? The minimal style of the Siena's leg helps with the modern look. As they are thin, they are not a key feature of the sofa, but more of a subtle style suggestion. the Matt Black finish also means they do not overpower the simplistic style, as a chrome finish may. The great thing about adjustable headrests on a leather sofa is that you can choose the most comfortable position for you. This can vary when chilling down with a movie or entertaining. When the sofas not in use, you can lay all headrests down flat to open up the room even more. Having an armrest which is an extension of the seats, rather than a high armrest, keeps the shape smooth and stylish. This is also a more comfortable seating position when relaxing and is less formal. 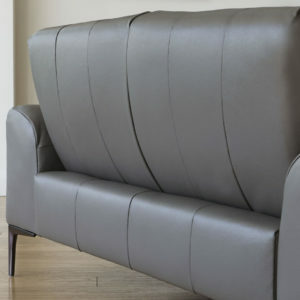 The stitch detailing is a key design feature to this modern leather sofa. It showcases the craftsmanship that has gone into your handmade sofa and is a key feature of a leather sofa. The Siena is just one of our modern styles. 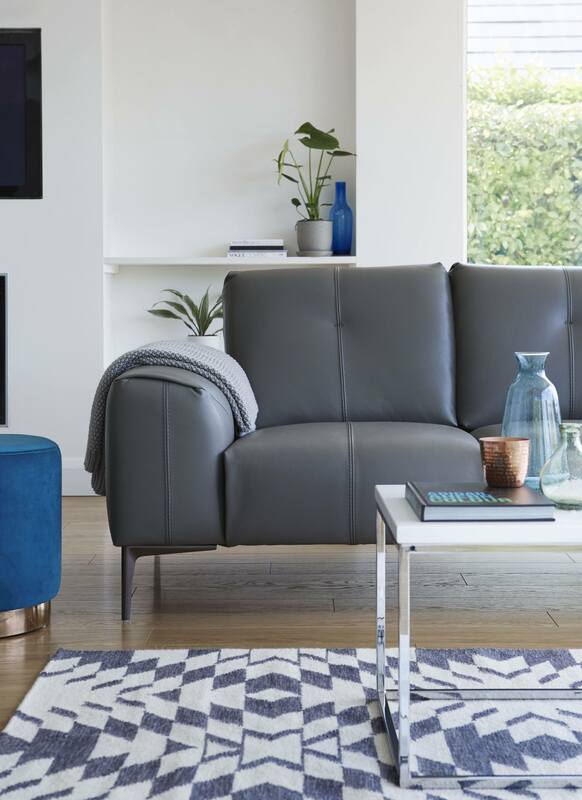 Check out our modern sofa collections right here. How can I clean my couch without removing any cushion covers? Removable cushion covers can be a great idea, however, once they've been through the wash once, they never fit the same way again. This is why lots of sofas nowadays do not have removable covers. Plus, with modern technologies, maintaining your fabric sofa without putting it through the washing machine is common practice. For any small little marks, you can usually clean them off with some warm soapy water- as long as you catch them quick enough! Put 1 tablespoon of dish soap (such as washing up liquid) into 2 cups of warm water. Take a clean white cloth and dampen it in your soapy water. Pat over the stain (DO NOT RUB) and use a dry white cloth to absorb the water. Repeat this 3-4 times until stain has gone. For a deeper clean, you can add a touch of vinegar to your cleaning solution, or try a professional carpet/upholstery cleaner. Just be sure to follow manufacturers guidelines! Stylist's Tip: Micro fibre cloths are you best friend. They're great for cleaning all sorts of surfaces, be it dining tables, bar stools, even window sills. Have a little stockpile of them as they're amazing... Plus you can chuck them in the washing machine and use over and over again! 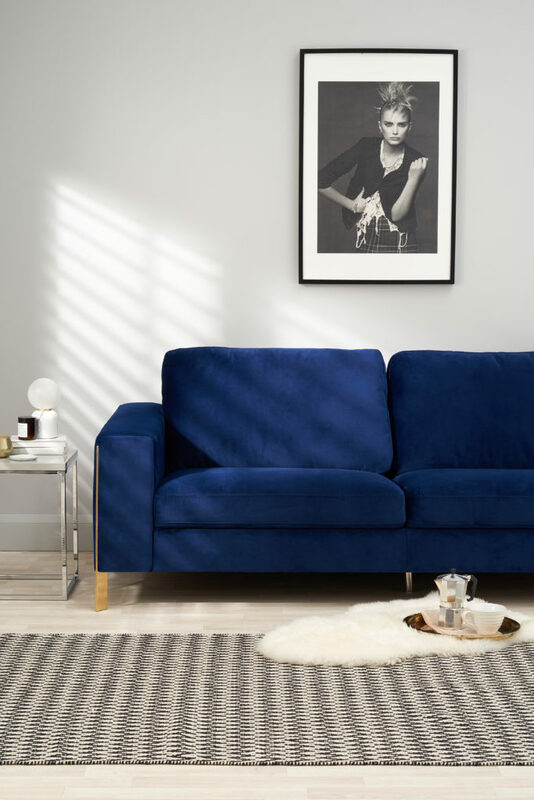 If you want more tips and tricks for fabric cleaning, check out our blog: How to clean a fabric sofa – Our insider secrets for keeping your sofa newer for longer. What's the best seating arrangement for a small living room? Finding a sofa for a small living room can be challenging, that's why you need to know your measurements. There are a few options which will suit a compact living room, however it's really down to the overall feel of the room you want to create. A corner sofa is great for compact living rooms. They can come in many different sizes, so double check the fit. Most corner sofas are available in a left and right handed option to slide into any home. If your room is more of a cozy snug, or not used for entertaining, mixing and matching a couch with an armchair is a great option. Position a 2 seater sofa agains the wall, with an armchair sat adjacent. This promotes a casual and cozy feel, without making the room too crowded! How do you style a sofa? Now you have your new couch, it's in position and protected, you can have fun with styling! Its a good thing to keep styling simple with your seating area - less is definitely more. There's no point in piling on the scatter cushions, as you'll only end up taking them off when you're sitting down! As previously mentioned, keep scatter cushions to a minimum. I would say a maximum of 5 on any couch. Also, a general rule of thumb when styling- things always look better in odd numbers. Throws can make or break a sofa look. In the winter pile on the heavy knits, faux furs and add soft lighting to your side tables. In the summer, swap out your chunky blankets for lighter linens and cotton throws. Avoid your seating area looking too twee by having mismatched cushions. Stick to a complimentary colour scheme, but play with patterns, textures and shapes. Throw in 1 large cushion, a couple of square cushions and an oblong one for an easy, yet stylish feel. Rugs and sofas go hand in hand. Make sure you get the sizing right though. Ideally your rug should be larger than you sofa, to frame the room and add warmth underfoot. For extra comfort, choose an ottoman rather than a coffee table. 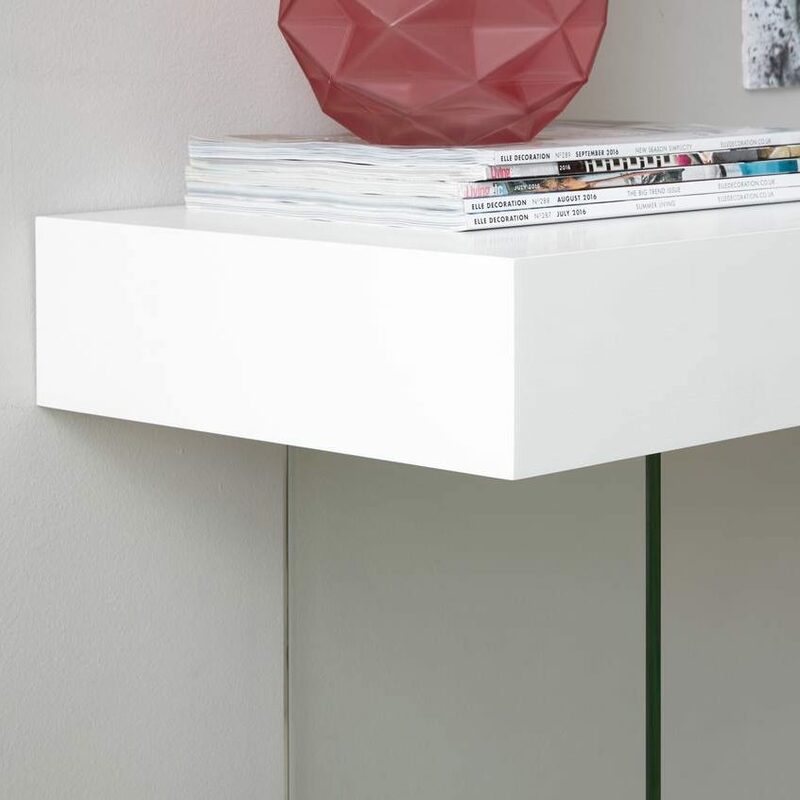 You can place a tray on top for any decorative items, and have a super sleek place to rest your feet! Don't over style. Your seating destination will look much more welcoming when it's looking natural and lived in. If your cushions are perfectly plumped and your throw is expertly folded, it wont look as inviting. Believe it or not, the frame of your sofa can make a huge different to the longevity of your chosen piece. Traditional sofas tend to be glued and stapled together. This is a cheaper method of building sofas, however it wont last as long as modern sofas. Modern Sofas are made out of many different types of wood to make them much more durable. From softwoods for stress areas, and plywood for added strength. You can also get sofas with a metal frame, however this will require a little more care over the years. When sofa shopping, it's pretty obvious but check that any corners and edges are padded. Especially if you've got young ones as this will avoid any unsightly bumps on the head! It's also really important to consider your lifestyle. A sofa in your playroom probably won't last as long as your living room, so choose a more cost effective sofa, or perhaps a sofa bed, for when your kids have sleepovers. Be careful with a leather sofa and new denim or heavily dyed fabrics. The colour can transfer, and due to leathers nature, this will soak in and be tricky to remove without specialist care. The most important measurement for your comfort is the seat depth. A deeper seat will be more cosy, comfortable and supporting. If you have a narrow seat depth, you'll always be sat more upright and not so relaxed. If you have wood floors or brand new carpets, use floor protectors to avoid any dimples in your flooring. Flooring is one of the most expensive costs of your home, so you don't want to be damaging this. CHECK YOUR NEW SOFA WILL FIT THROUGH YOUR FRONT DOOR! I can remember a time where we had to remove the window to get our sofa into our rented flat. Luckily we put the window back in seconds before the landlord showed up. So save yourself this awkward situation and check you'll get it in your house! 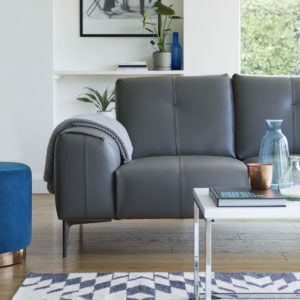 Now you're armed with all the facts and tips when it comes to sofa shopping, it should be a breeze! Remember though, if you have any other questions, we're more than happy to help! Once you've got the most Instagram worthy living room we'd love to see your pictures! Tag us in your pics and use #mydanetti to be featured on our pages! So, you’ve just unwrapped your brand new sofa, sat down to enjoy it, and along come your little monkeys to put sticky bolognese fingers all over it! Accidents happen, but sometimes there is nothing worse than red stains on a grey sofa. It sounds silly, but do you really know how to clean a fabric sofa? Thats why we have compiled a step by step guide to clean a fabric sofa. 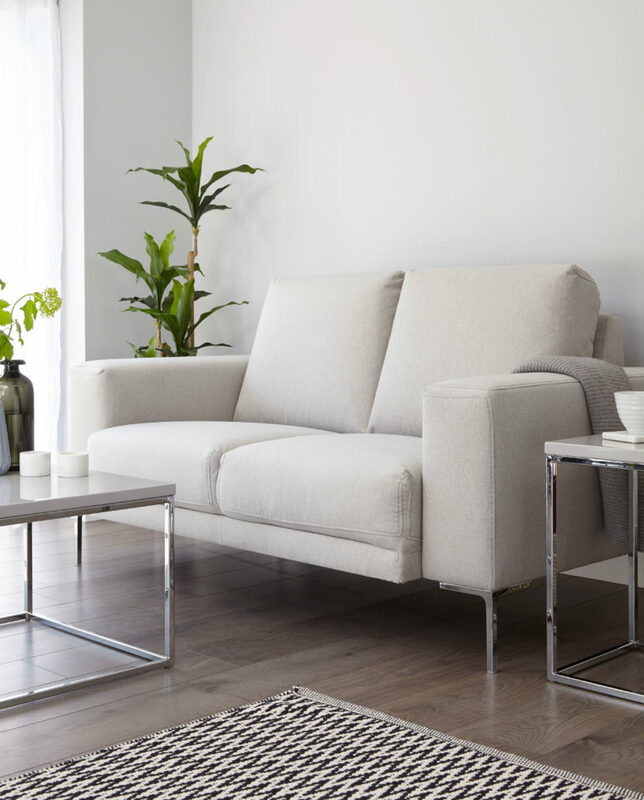 Ranging from little spot cleaning to a full deep clean, our handy tips and advice will keep you sofa looking brand new for years to come! 1. For any small little marks, you can usually clean them off with some warm soapy water- as long as you catch them quick enough! Put 1 tablespoon of dish soap (such as Fairy) into 2 cups of warm water. 2. Take a (this part is important) clean white cloth and dab it into your soapy water. Pat over the stain (DO NOT RUB) and use a dry white cloth to absorb the water. Repeat this 3-4 times until stain has gone. 3. If you have a slightly more stubborn stain, then try adding 1x tablespoon of white vinegar into your soapy solution. White vinegar is a great household cleaner and can be used in all sorts of cleaning solutions. Don’t worry about the vinegars smell, as this will disappear once dry. If you catch a stain before its dried in, the above method is great at removing small stains and is super gentle on your upholstery. As long as you don't rub, you shouldn't be able to see any evidence there was any marks! These spot cleaning tips work great for all sorts of Fabric, including the super on trend Velvet. Just be sure to dab, otherwise some colour may rub away! Take your baking powder and sprinkle generously over the seats. If you need to remove seat cushions place on a clean sheet to save any extra dirty marks! If you feel a deeper clean is needed, at this stage you can add a dry carpet cleaner, and brush in along with the baking powder. Make sure you use a clean, soft brush so as not to damage the fabric. You can purchase specific carpet and upholstery cleaning brushes, but using a clean brush from your dustpan and brush will work just fine. Leave the powder to soak in for 20 minutes. Now is the time to go pop the kettle on and put your feet up. Once the baking powder has worked its magic, vacuum it all up! Most vacuums will come with a upholstery attachment, which will usually have red felt pads around the edges to protect the fabric. Take your time when vacuuming. Start on one side and work down in lines, to ensure nothing is missed. Fabric Dining Chairs (such as our Riva and Zilo) are also subject to spills and stains, so the baking powder will also work wonders for these, too. Follow the same method as above to keep your chair shiny and new! Hopefully now your sofa is looking good as new and smells fresh as a daisy! If you want to protect your sofa from future stains, try using a product such as Scotchgard Fabric Protector. This will coat your sofa and keep cleaning to a minimum. Check out the manufacturers instructions here, and be sure to test in an inconspicuous area first! As long as you are gentle, follow any manufacturers instructions, and pat instead of rubbing- your colourful fabric will stay bright and cheerful forever! And thats how you clean a Fabric Sofa. When you're thinking about how to clean a fabric sofa, take a trip to your local supermarket! There are some great products on the market for cleaning upholstery, such as Vanish Power Foam and Shout. Just be sure to follow instructions carefully and test a patch first. Do not to leave on too long to avoid any discolouration. Easy Clean Riva Fabric Chairs are ideal for families! Make sure you do not use any coloured cloths to clean your sofa. Using a white cloth will allow you to see if any colour comes off. If so, stop using the product immediately. This is why its so key to test a small patch first! It goes without saying that sofas are not designed to eat dinner on each night. Thats just an accident waiting to happen! 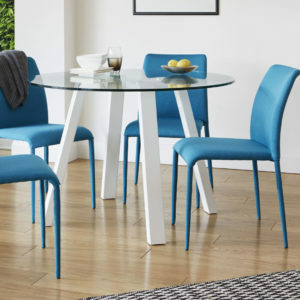 Check out our lovely dining tables to ensure your eating area is as desirable as your sofa! Kids are messy. Its a fact of life. 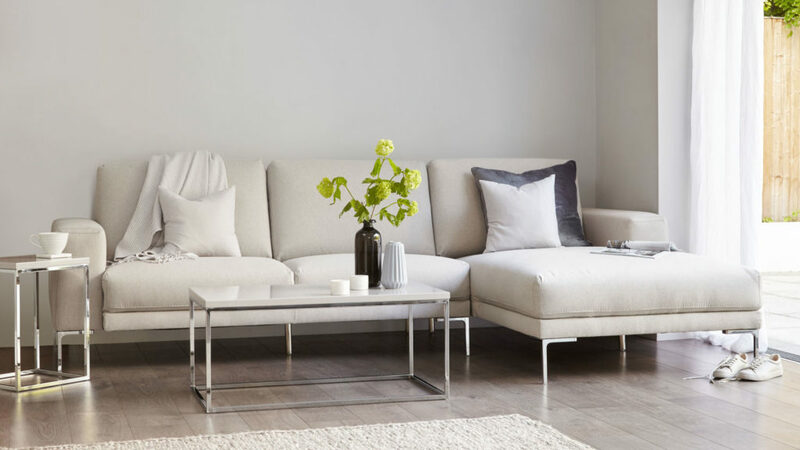 Darker colours always work best for families, as marks don't show up so much, but if you do opt for a light colour sofa, a fabric protector is an essential. 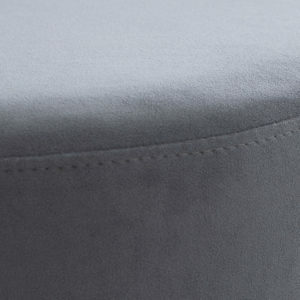 Our Velvet Plaza Stools are super soft to the touch. Fancy more cleaning tips? Check out our blog post about keeping Faux Leather fresh and clean right here. If you have any great tips for cleaning fabric sofas, please share them with us in the comments below. Also be sure to show us your brand new Danetti Sofa on Instagram, Facebook at Twitter using #mydanetti!